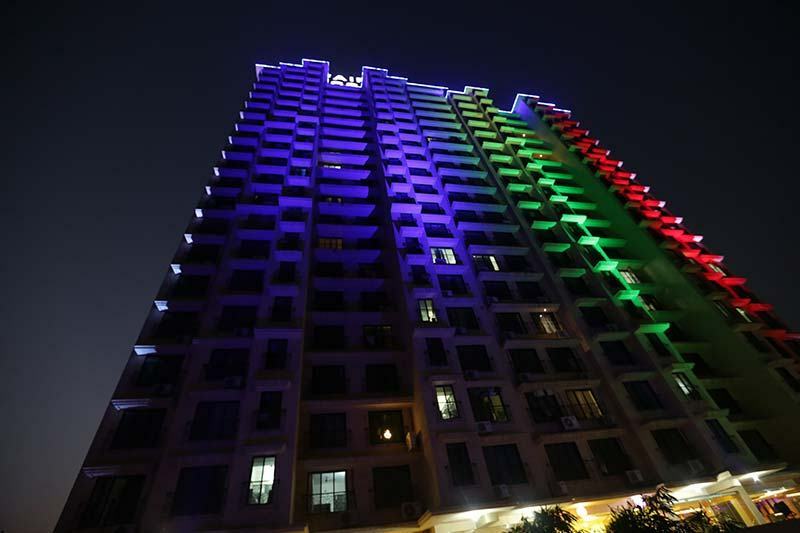 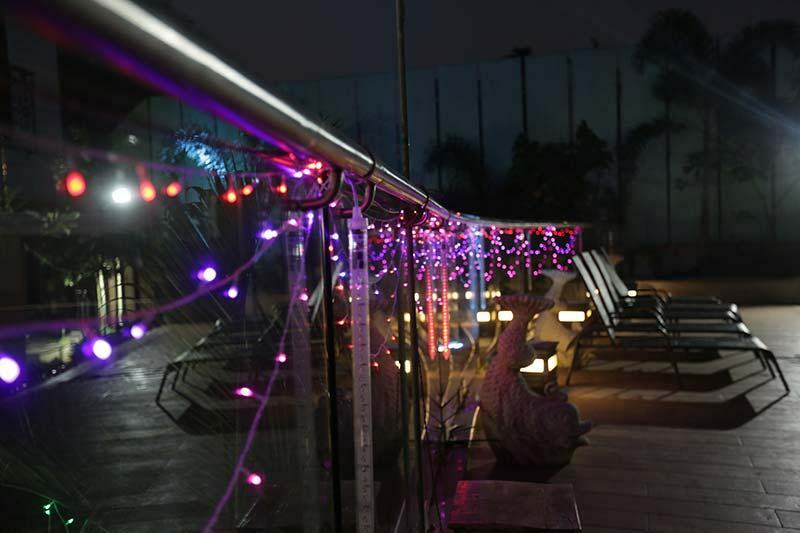 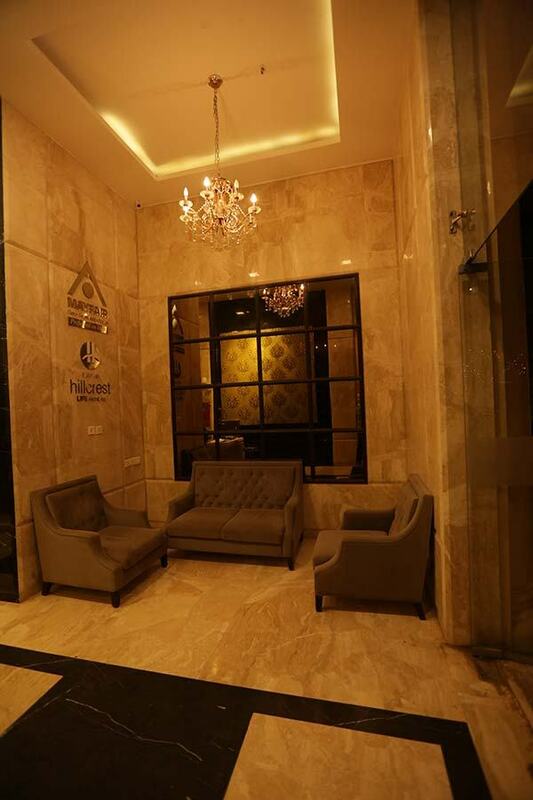 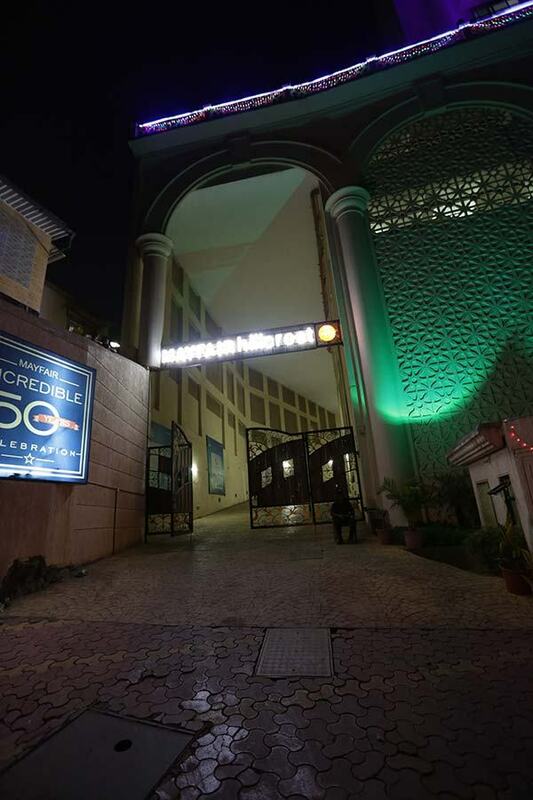 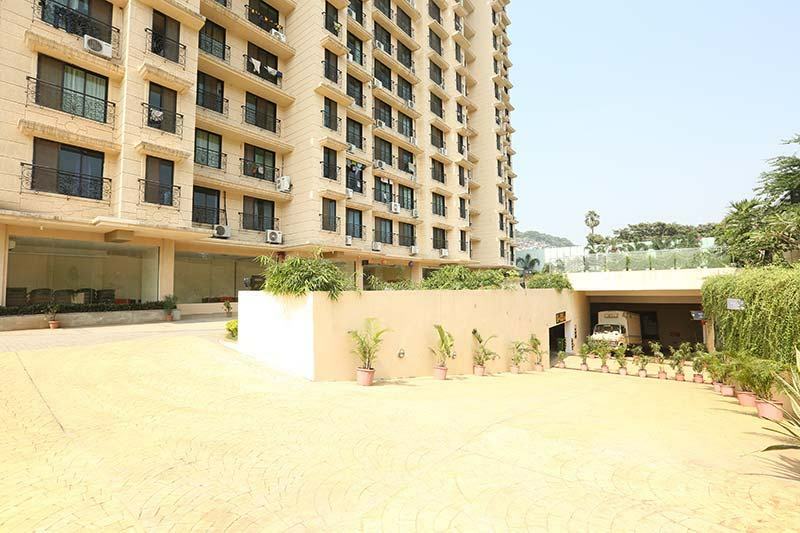 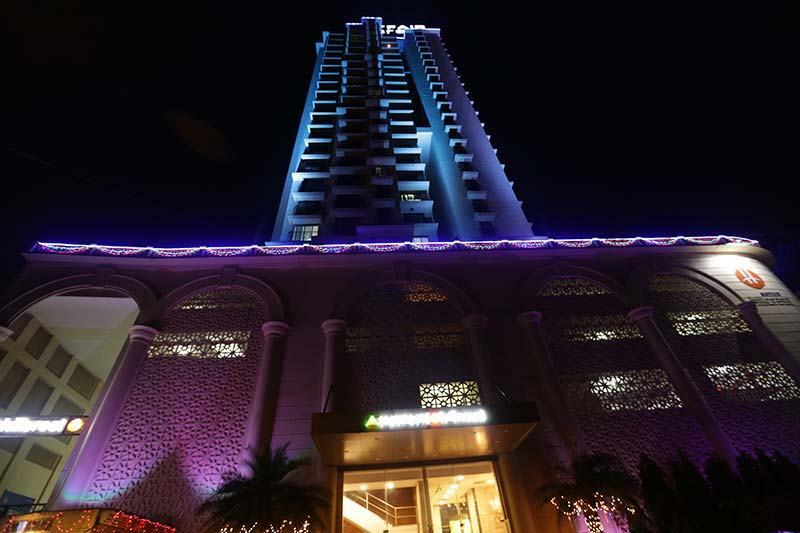 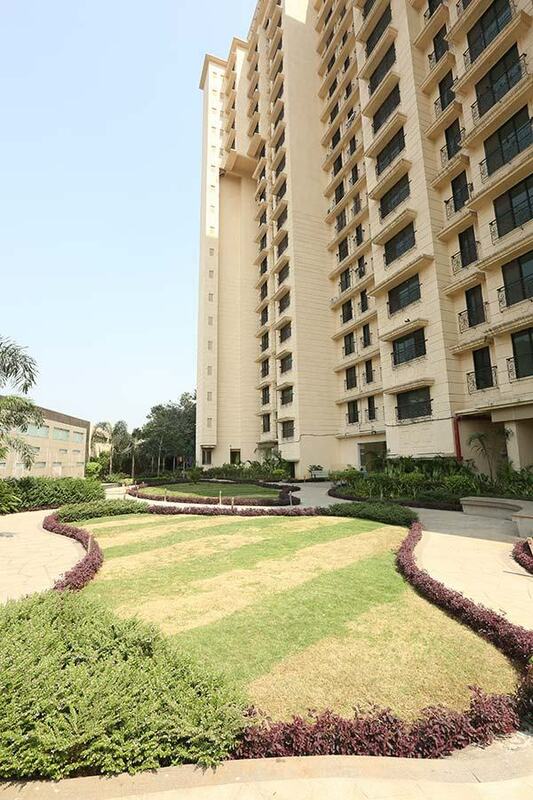 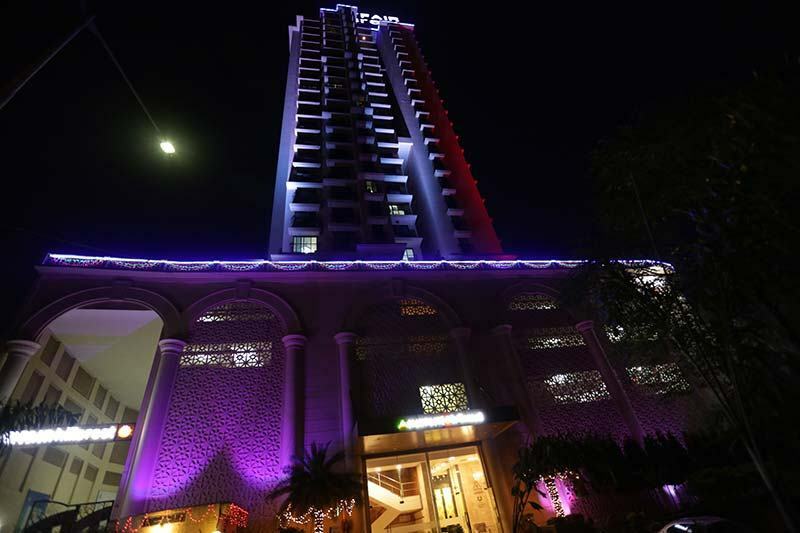 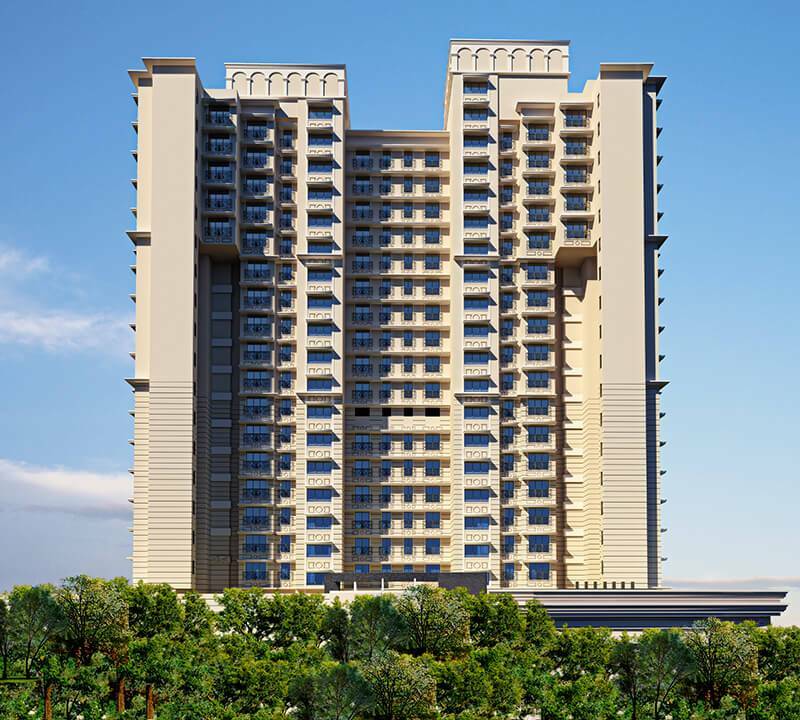 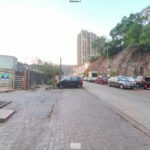 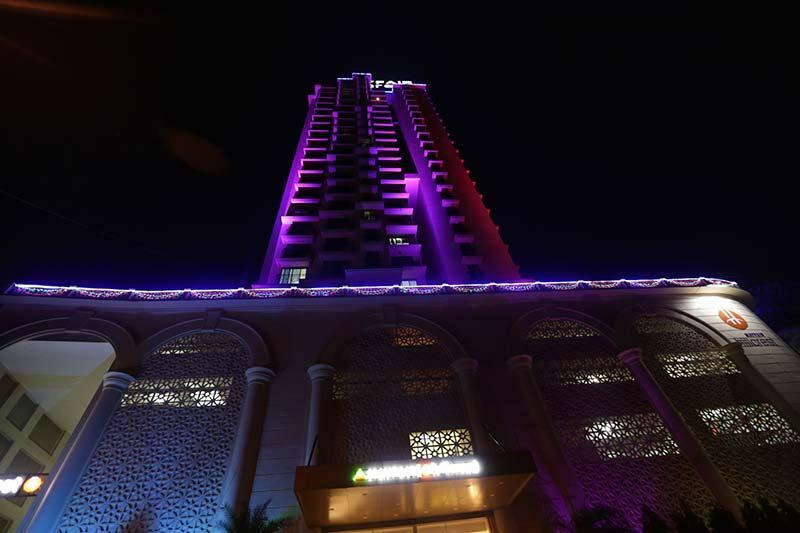 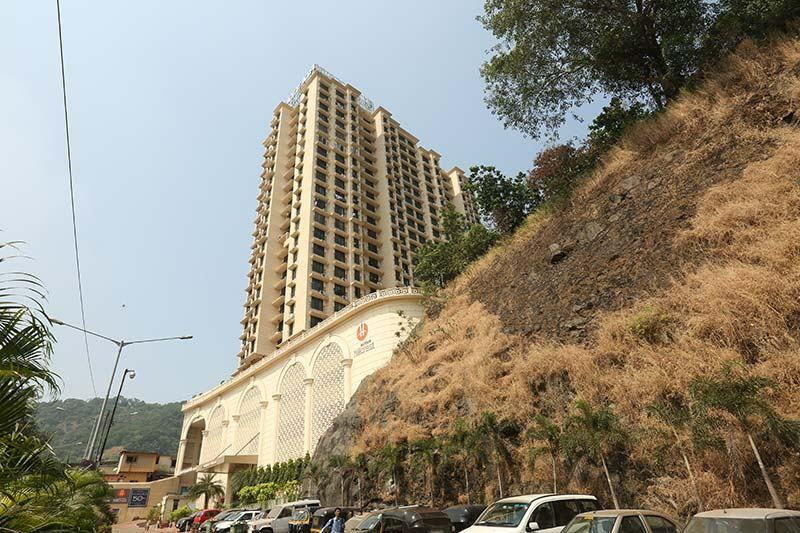 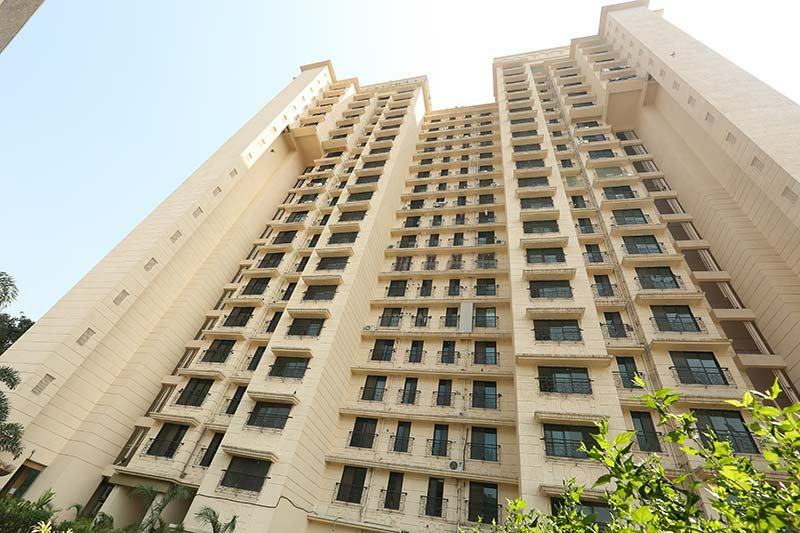 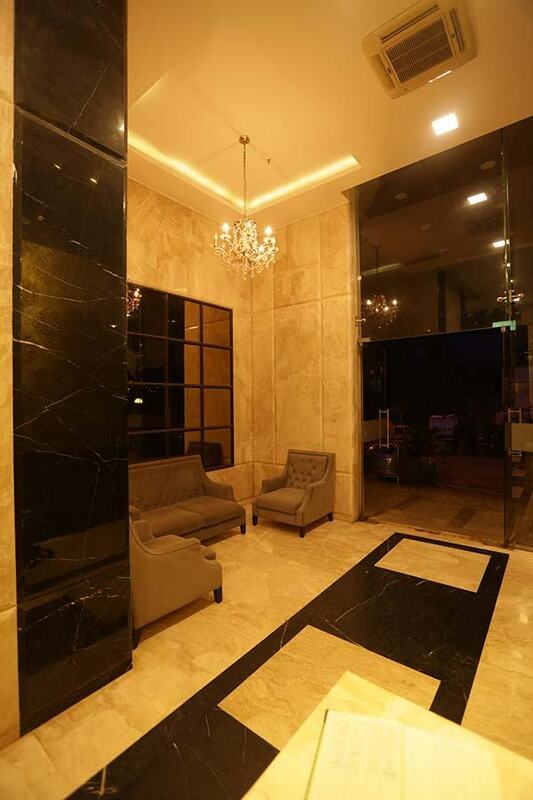 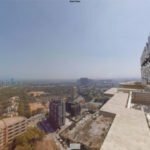 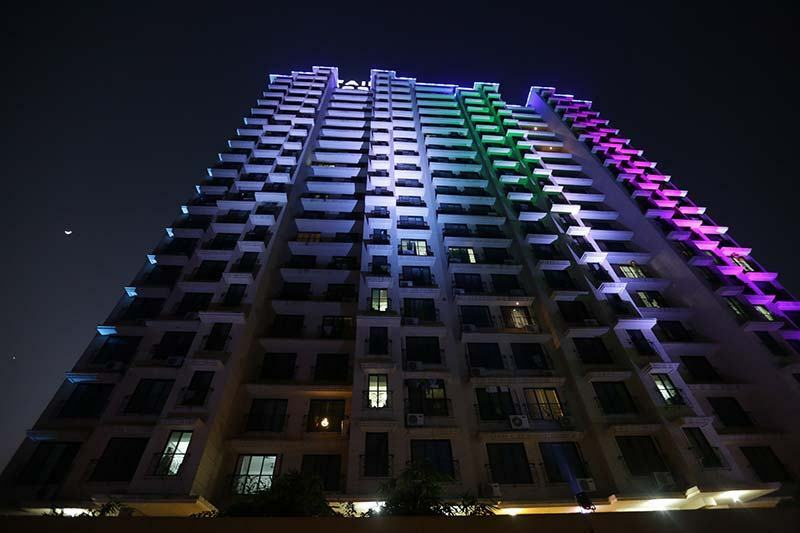 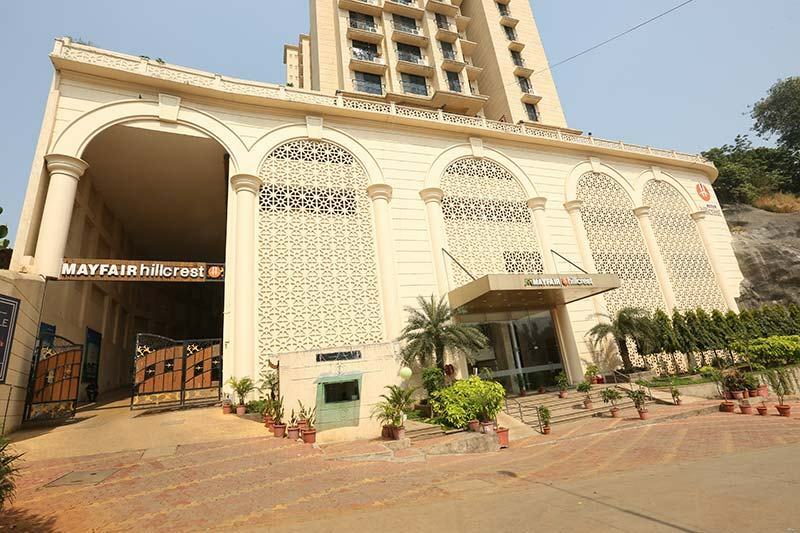 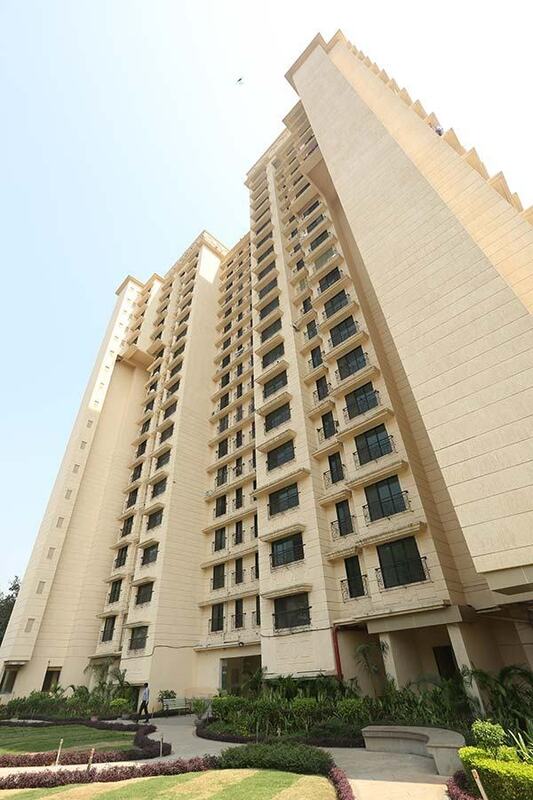 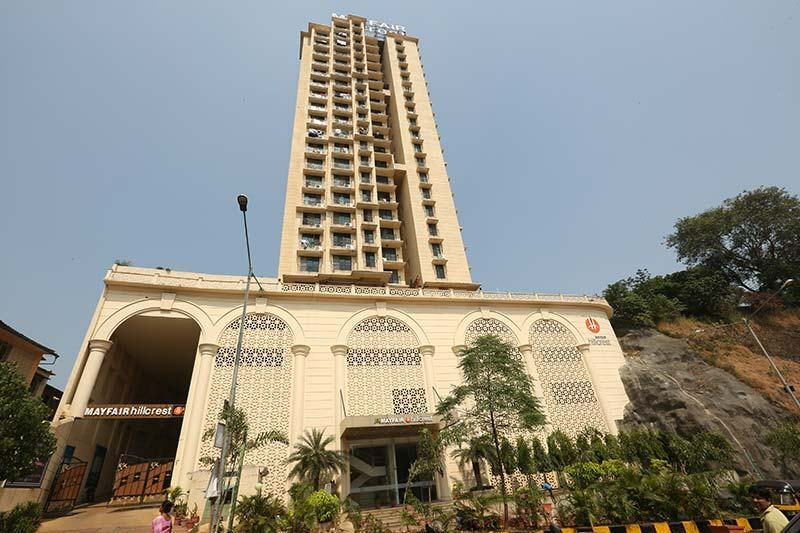 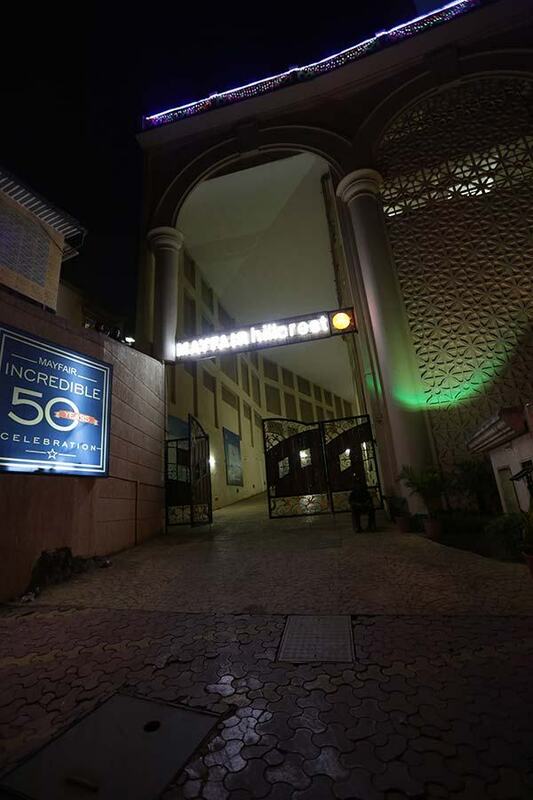 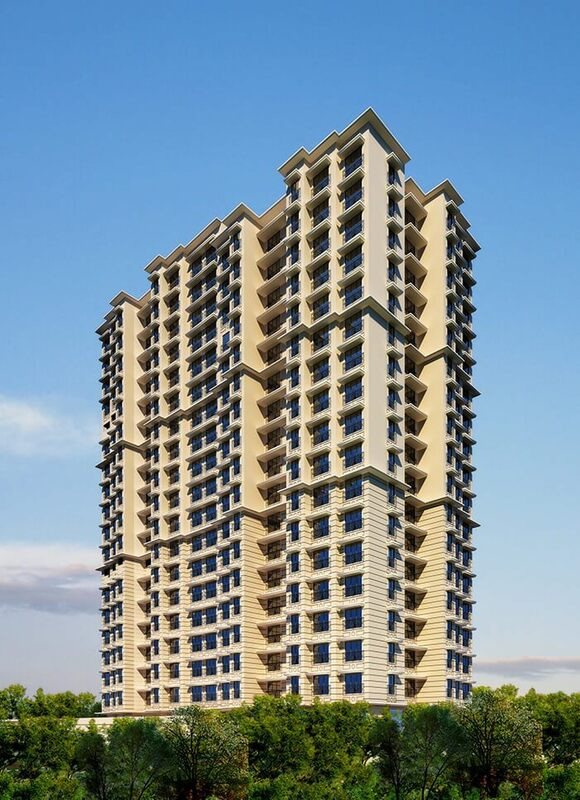 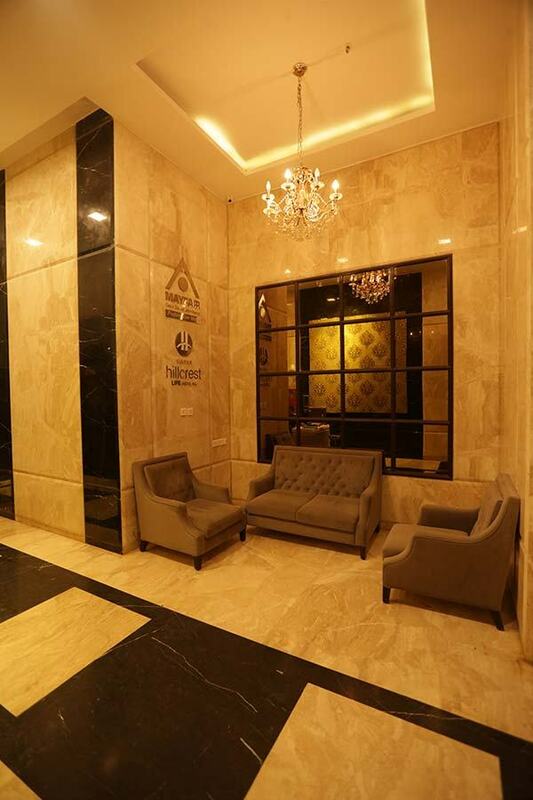 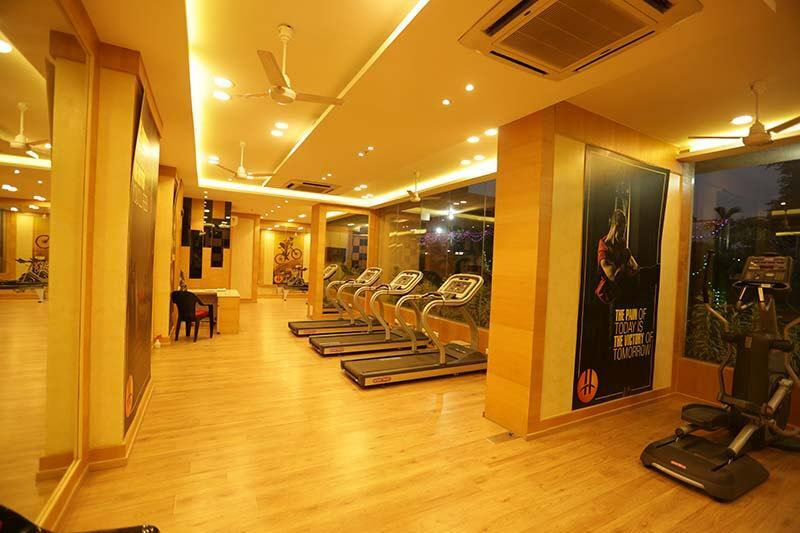 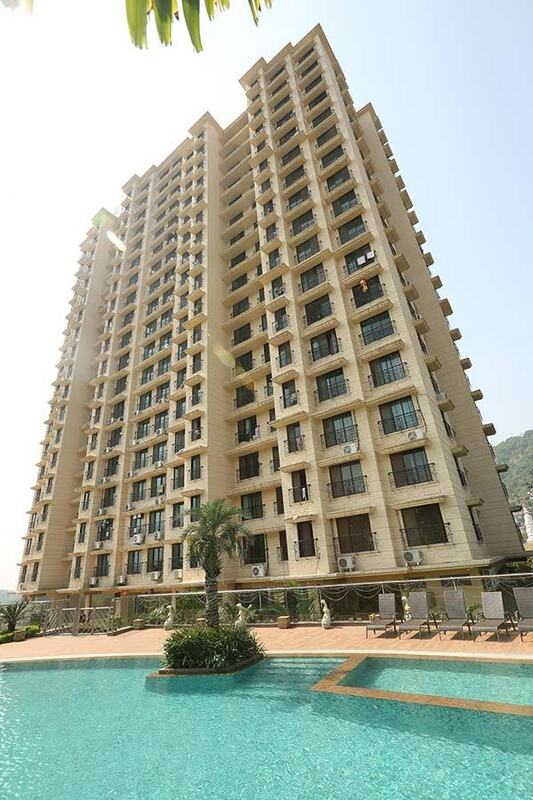 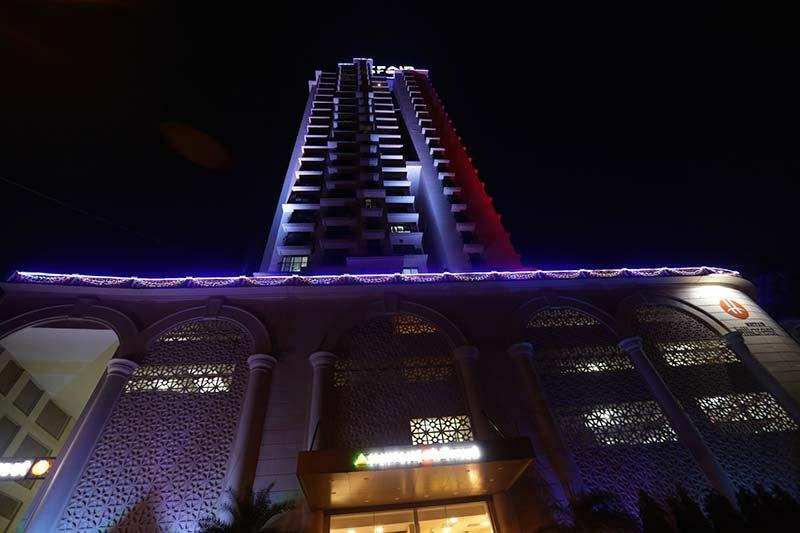 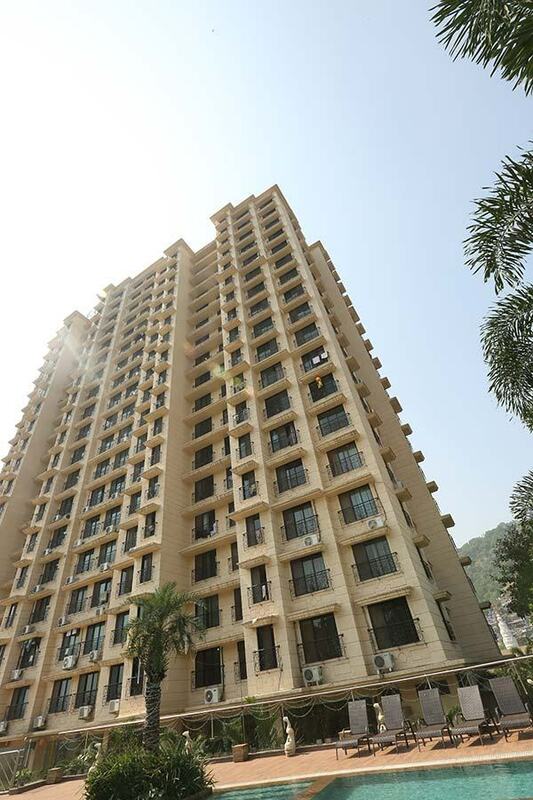 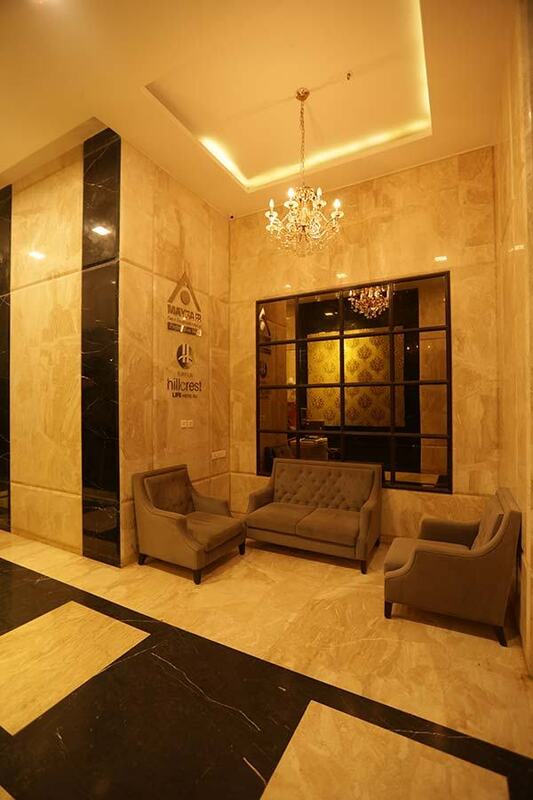 Mayfair Hillcrest is a spectacular 22 storeyed high-rise building in Vikhroli by Mayfair Housing. 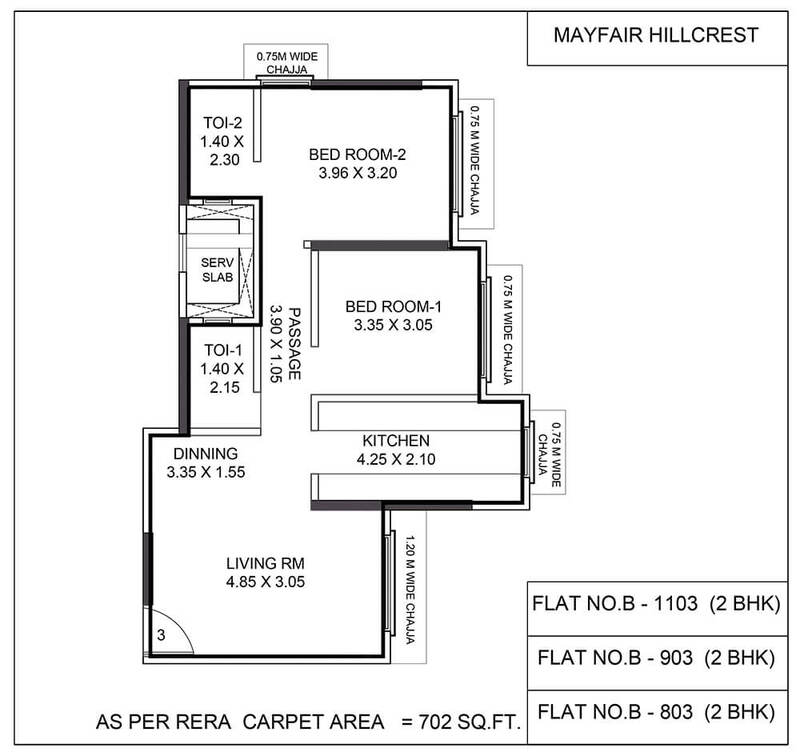 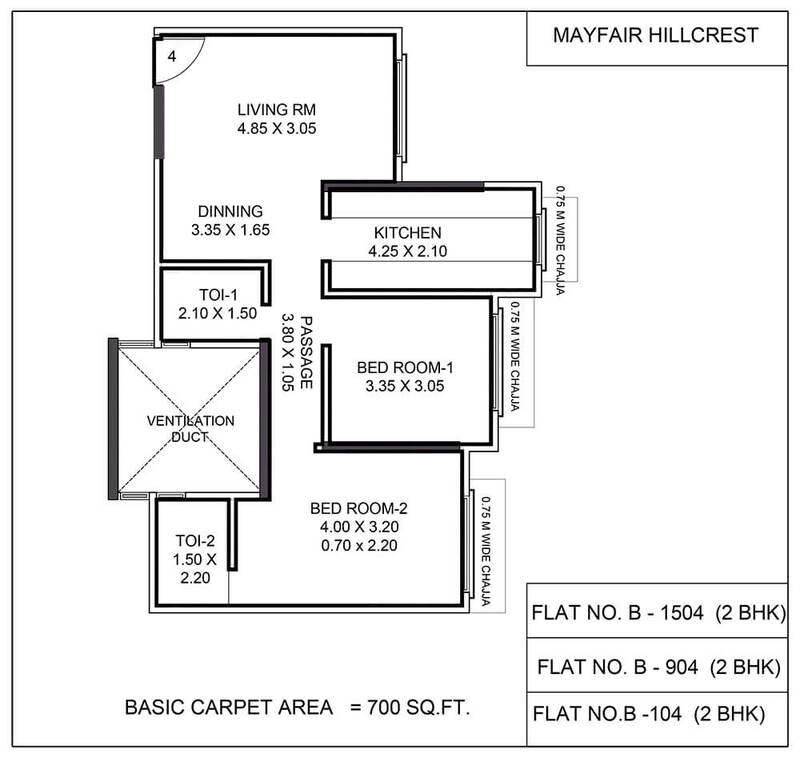 Book 1 BHK, 2 BHK flats in Vikhroli at 'Mayfair Hillcrest' directly from the developers here at no extra cost. 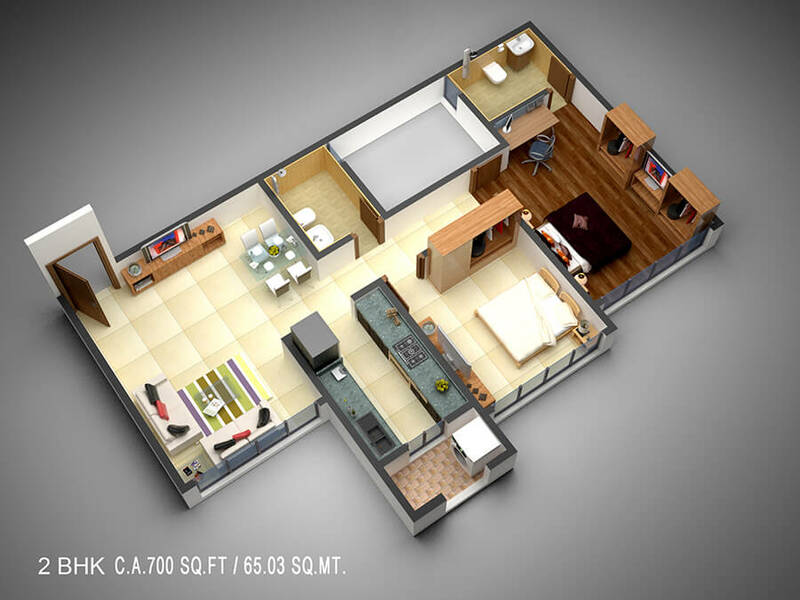 Uplifting your standards, these 1 BHK & 2 BHK apartments in Vikhroli will surely impress you with it's design. 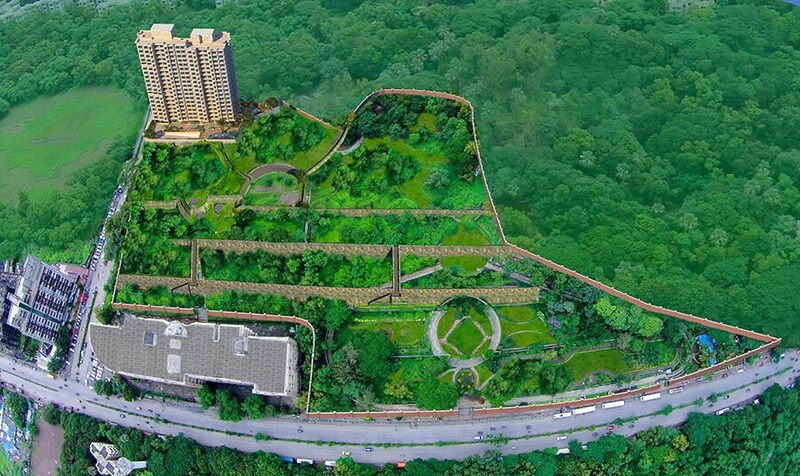 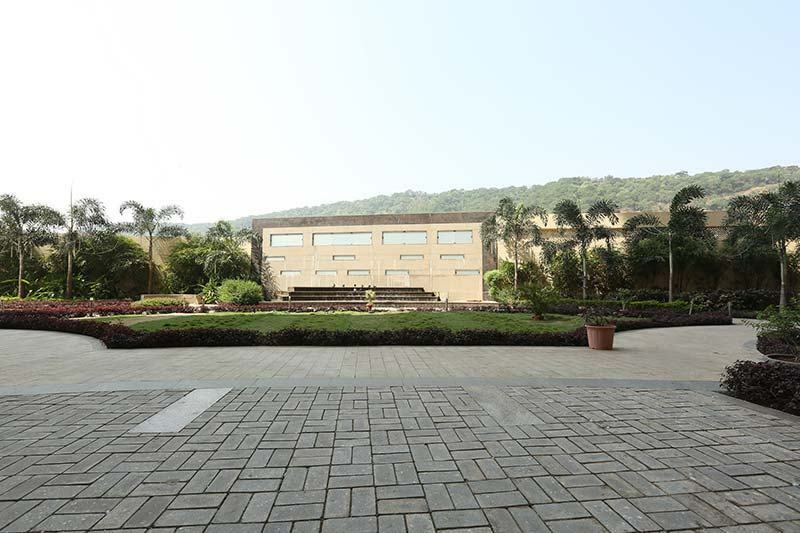 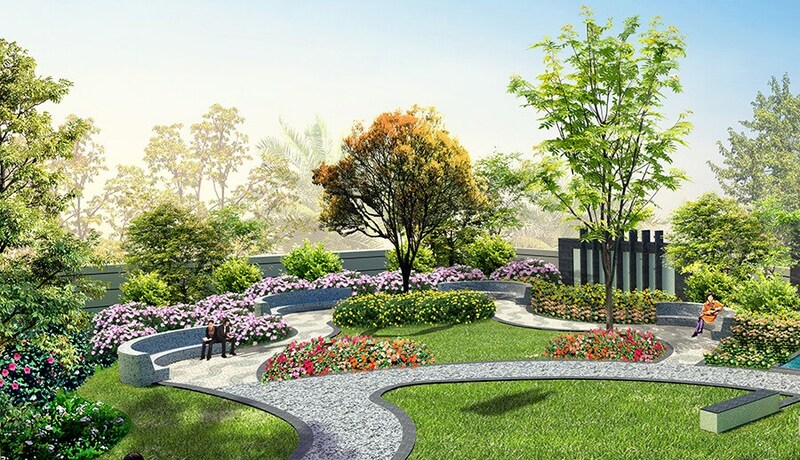 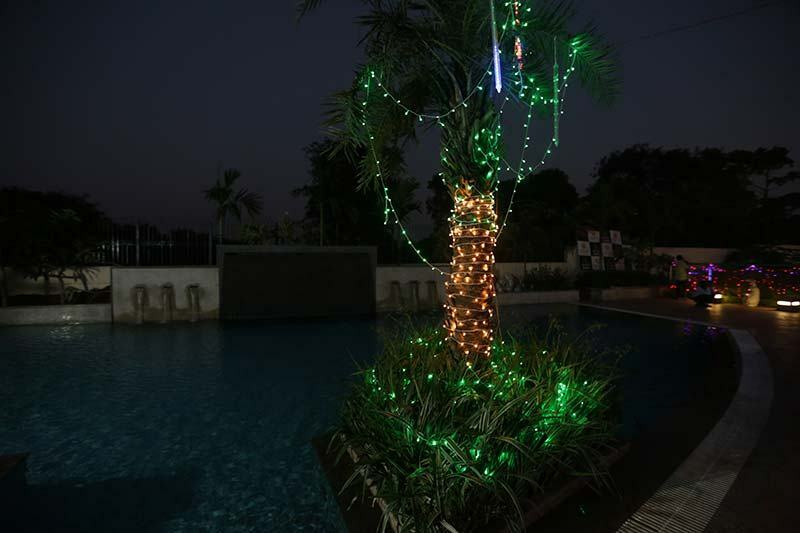 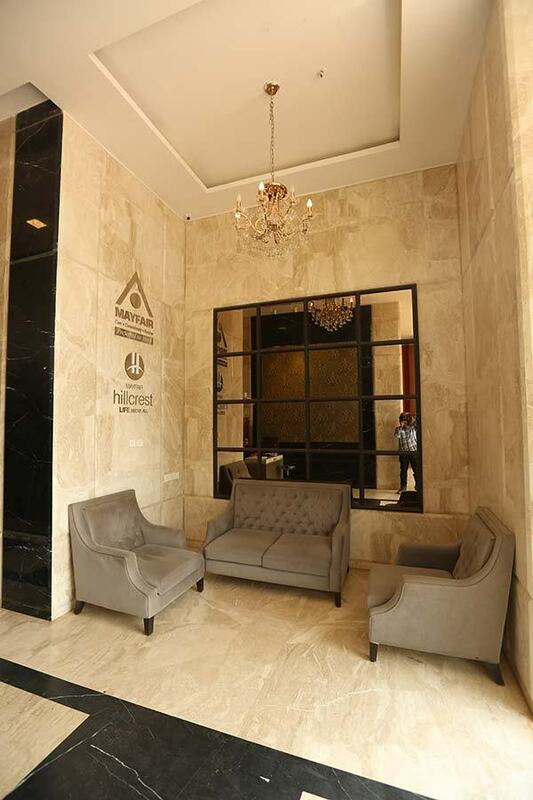 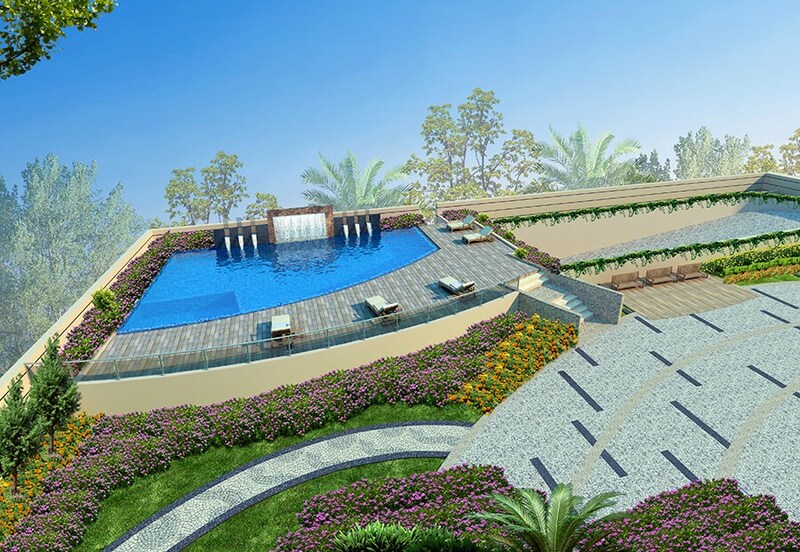 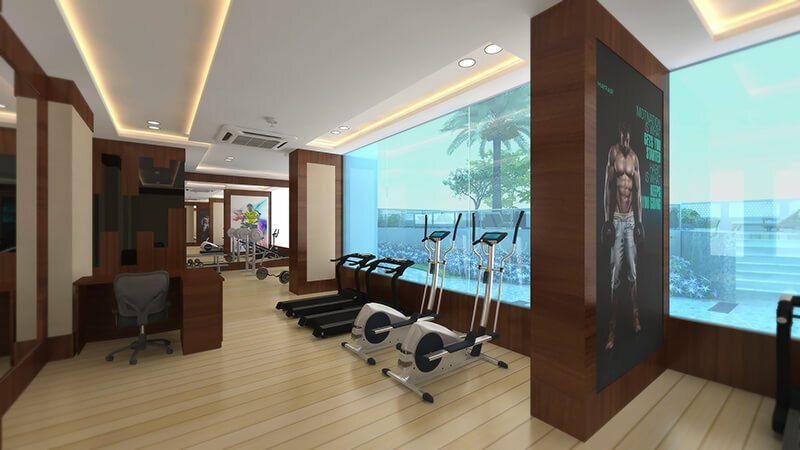 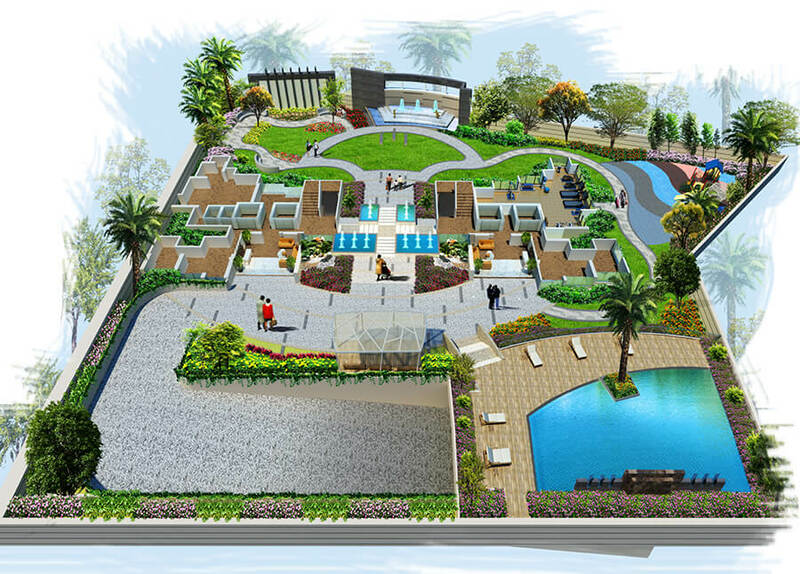 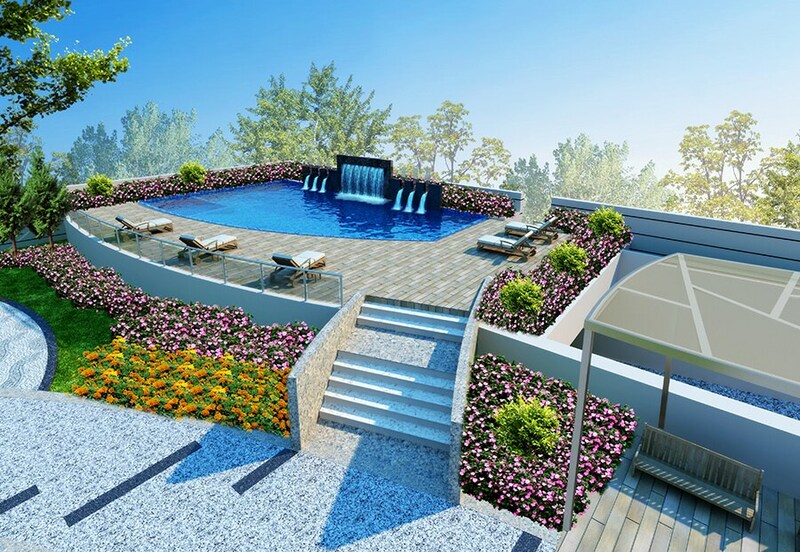 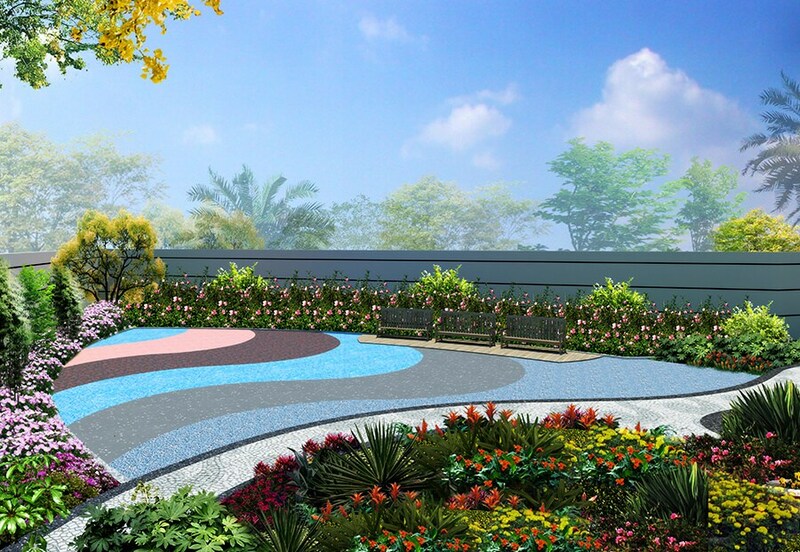 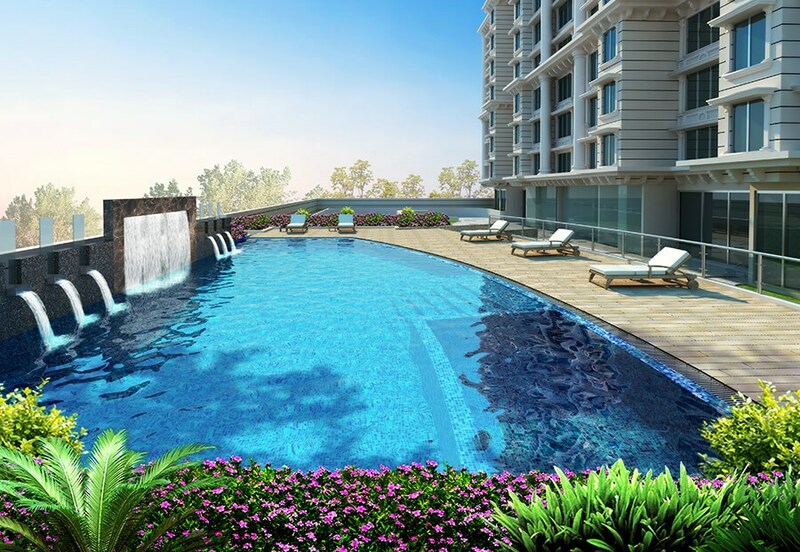 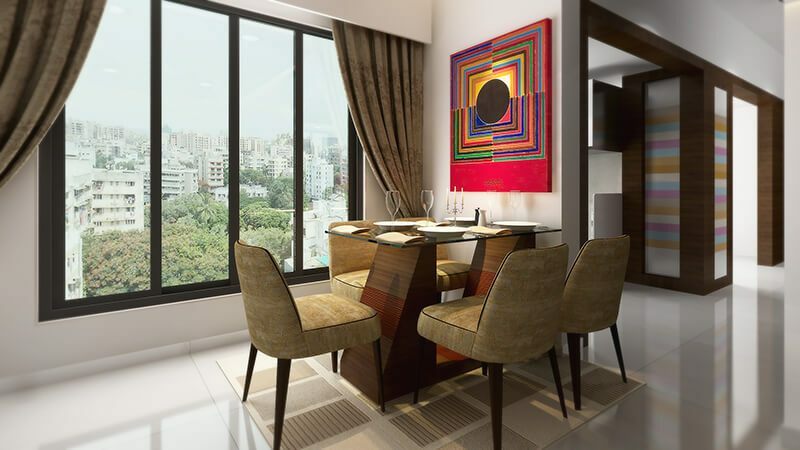 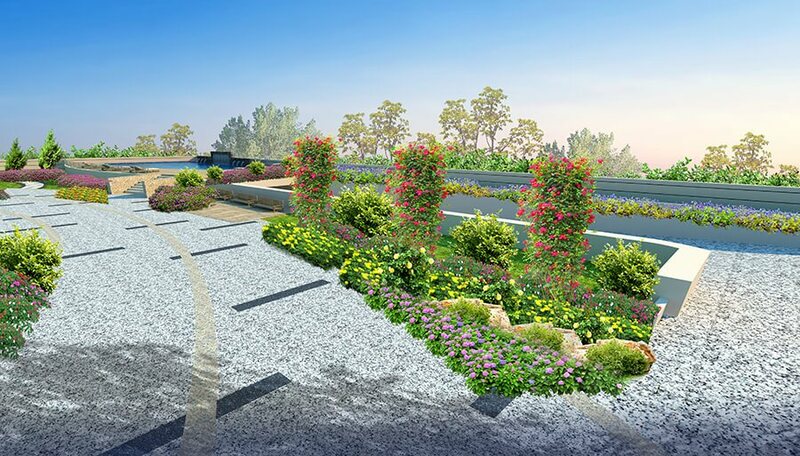 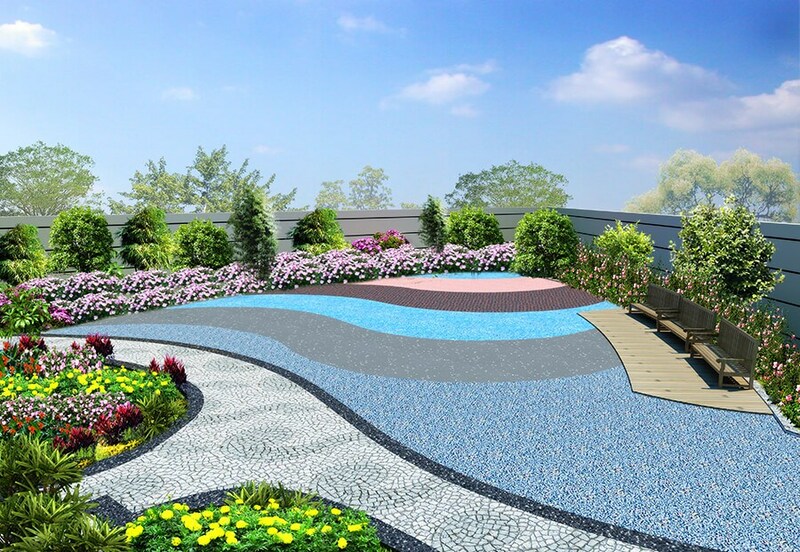 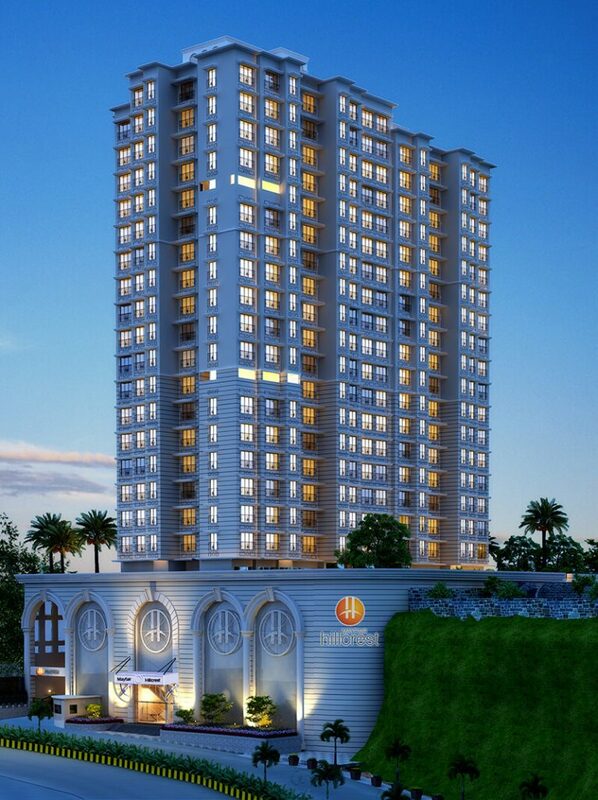 Hillcrest is one of the hottest residential project in Vikhroli west near Powai. 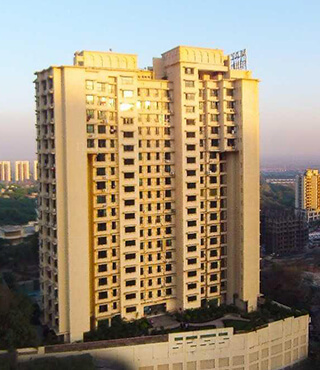 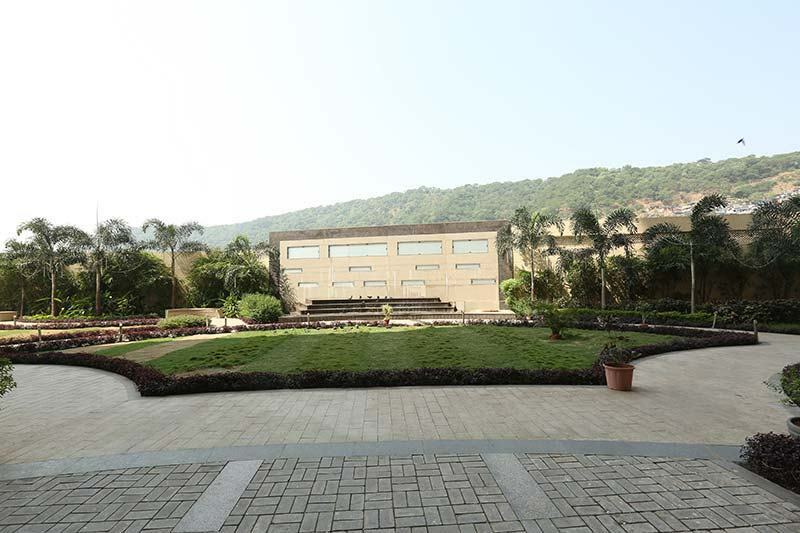 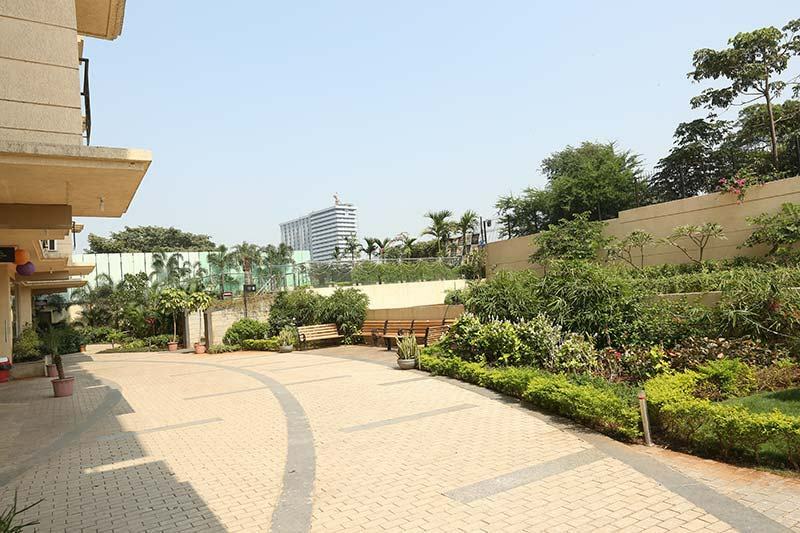 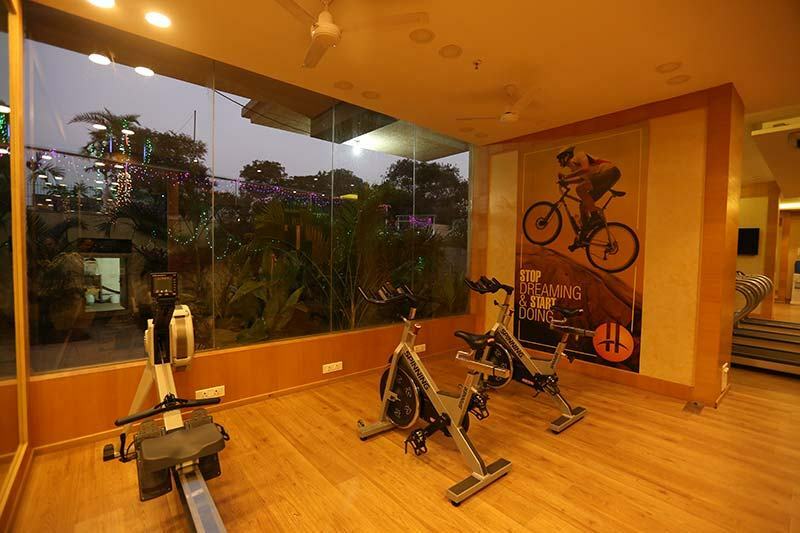 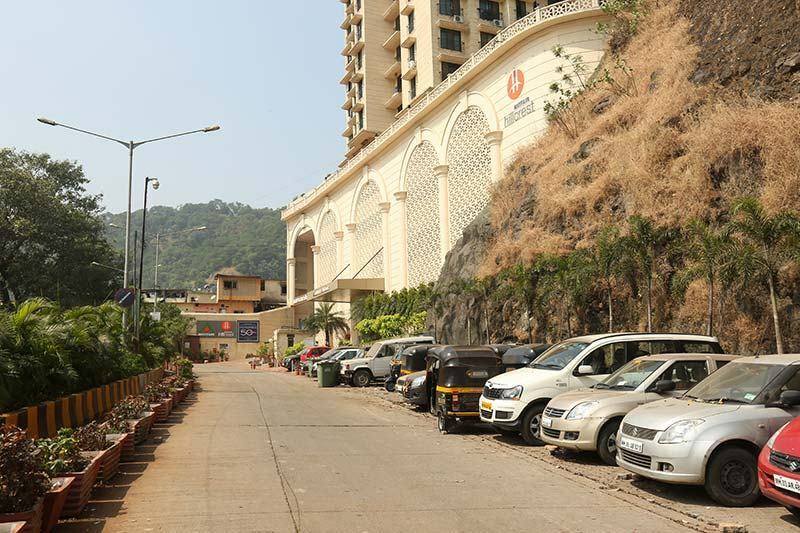 Nestled between eight acres of luscious garden on the east and the Powai Hills on the west, amidst housing complexes of Godrej and Hiranandani Estate i.e Hiranandani Gardens Powai, it's an iconic tower located on a hill-top with 3 levels of parking + podium amenities floor + 18 upper floors & offers a breathtaking view of the Vashi creek with a 180 degree view from all floors. 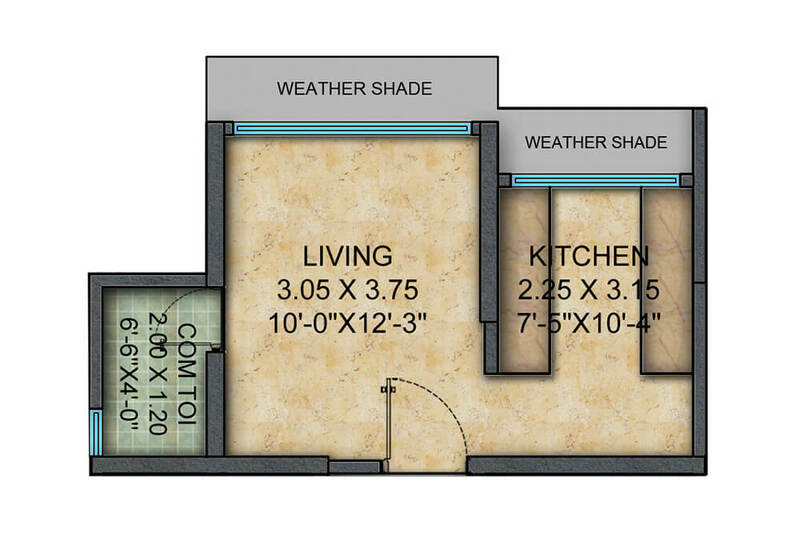 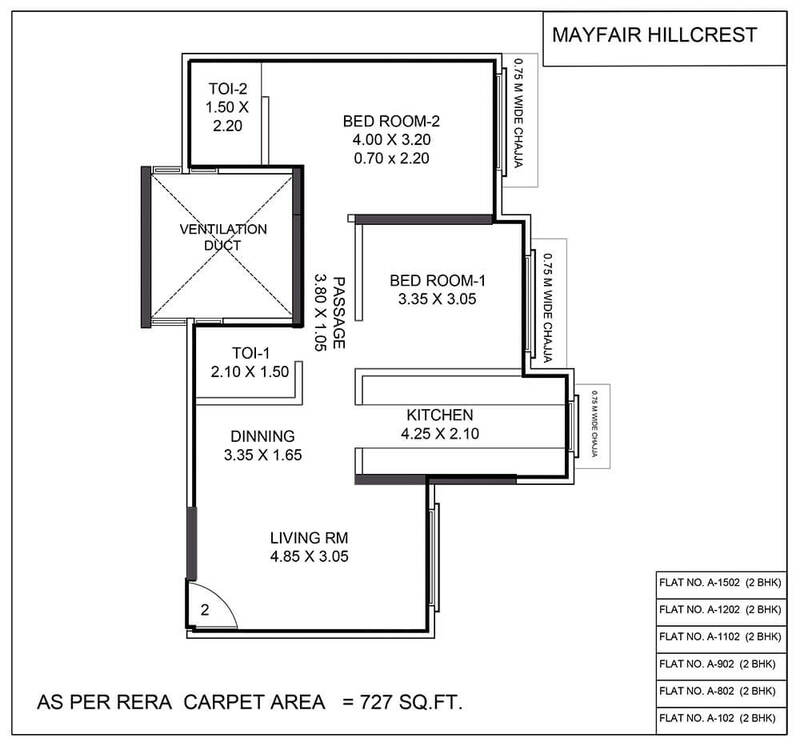 The 1st habitable floor in Hillcrest starts at 5th floor which is 178 ft from LBS Marg. 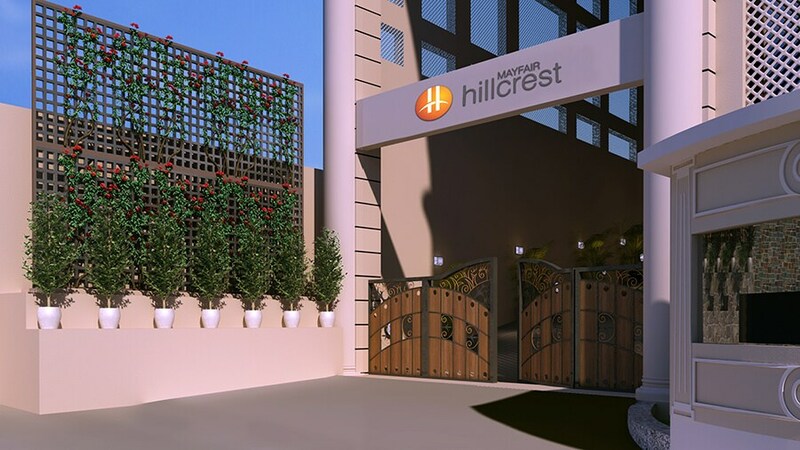 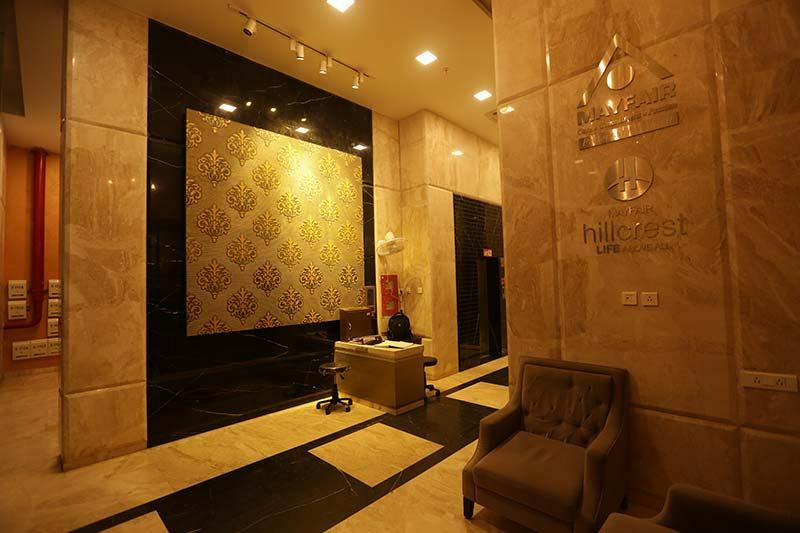 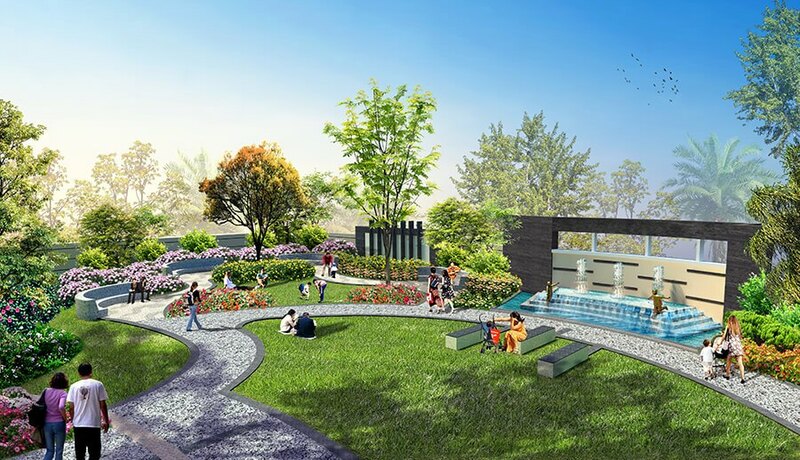 Hillcrest is a consistent amalgamation of solace and style that's wonderfully crafted bearing in mind all your needs. 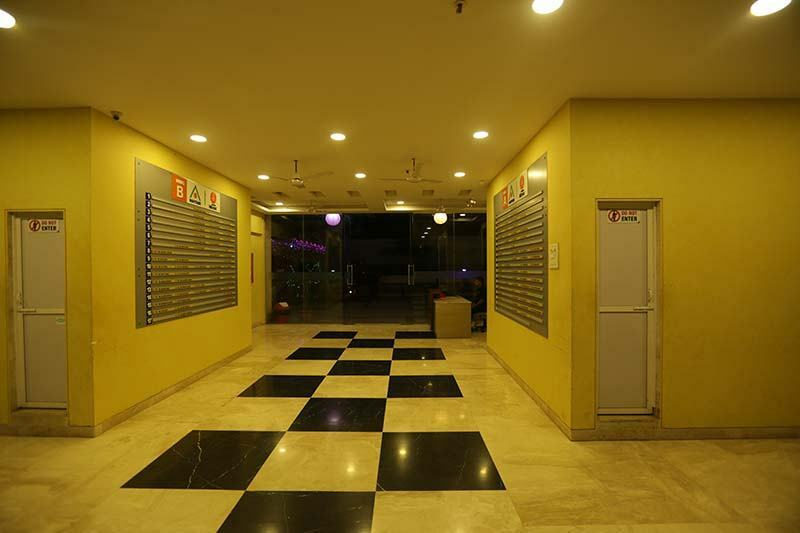 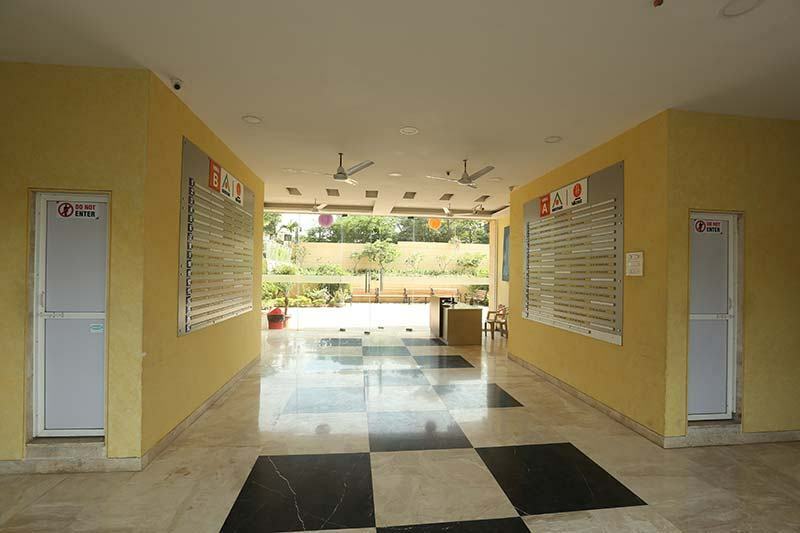 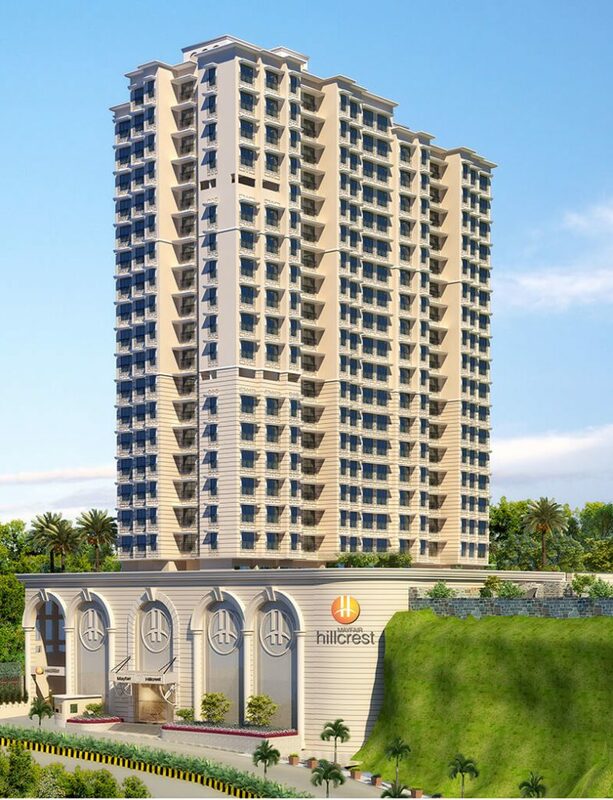 Home buyers can be sure that the price of Hillcrest is economical for anyone looking to buy property in Vikhroli. 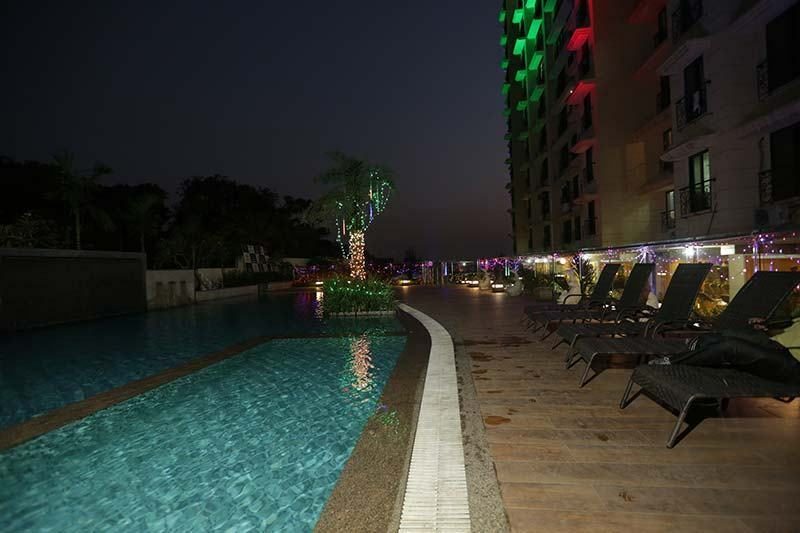 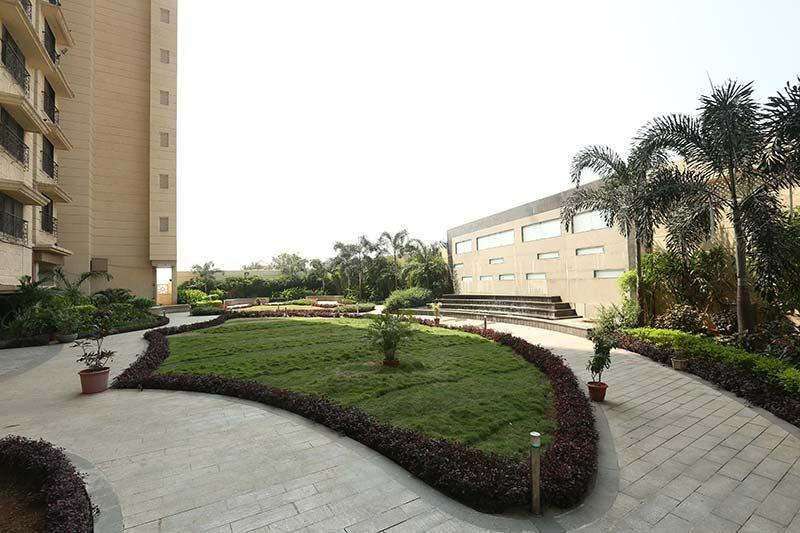 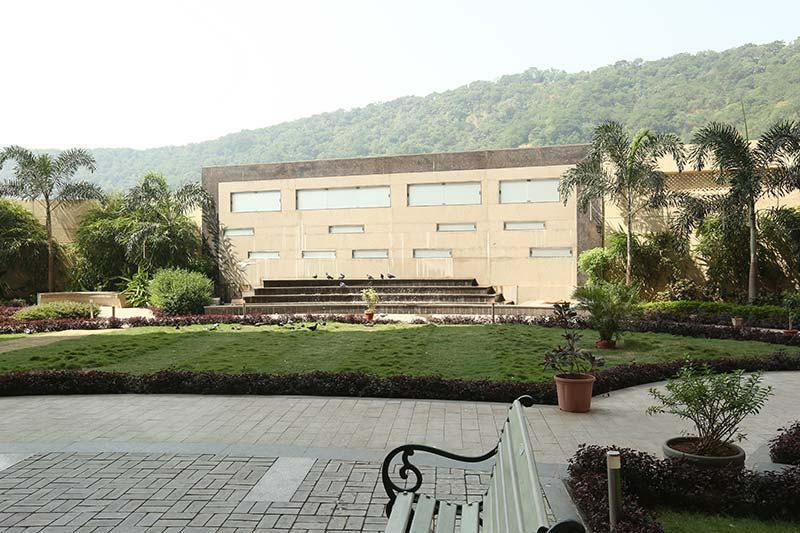 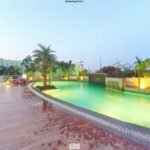 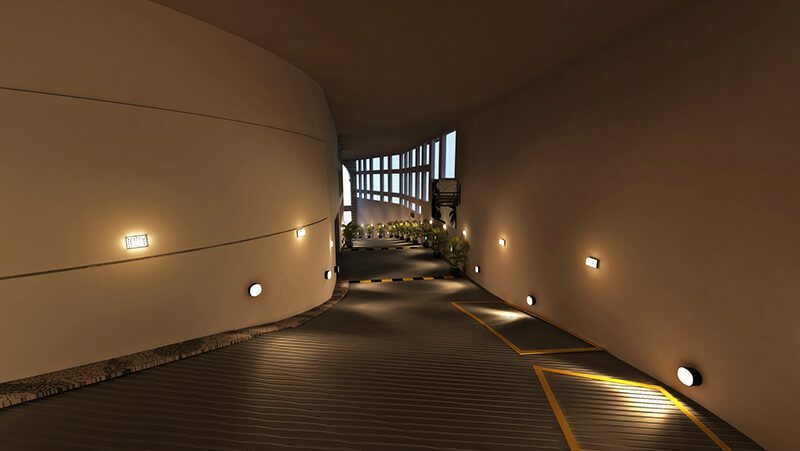 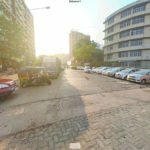 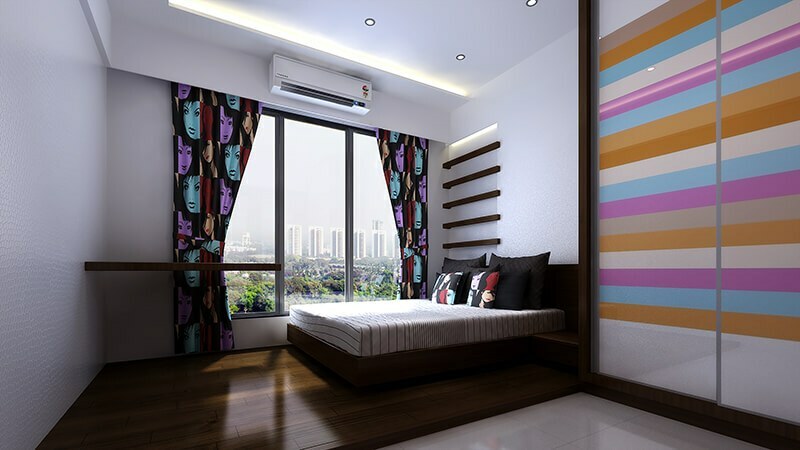 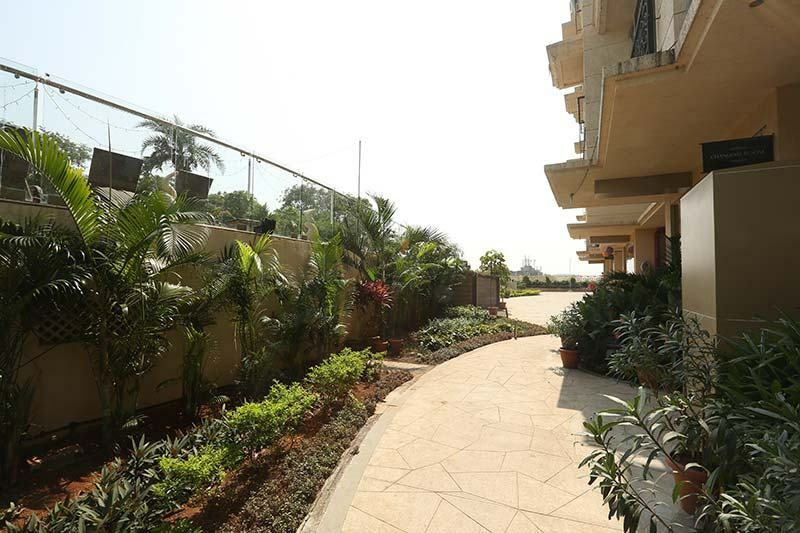 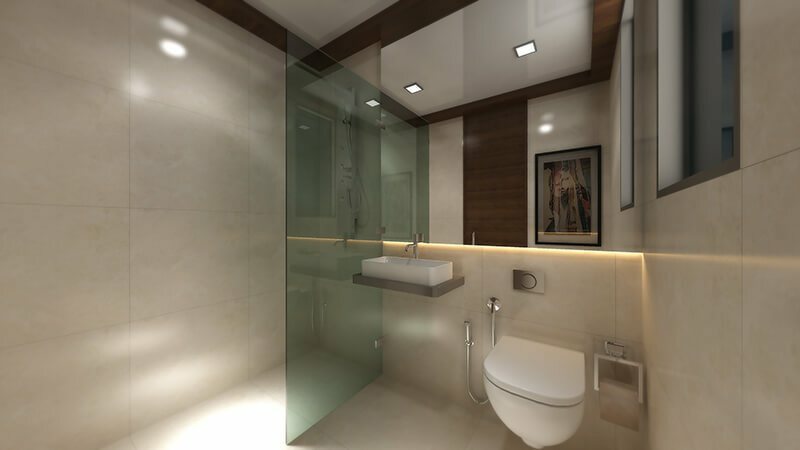 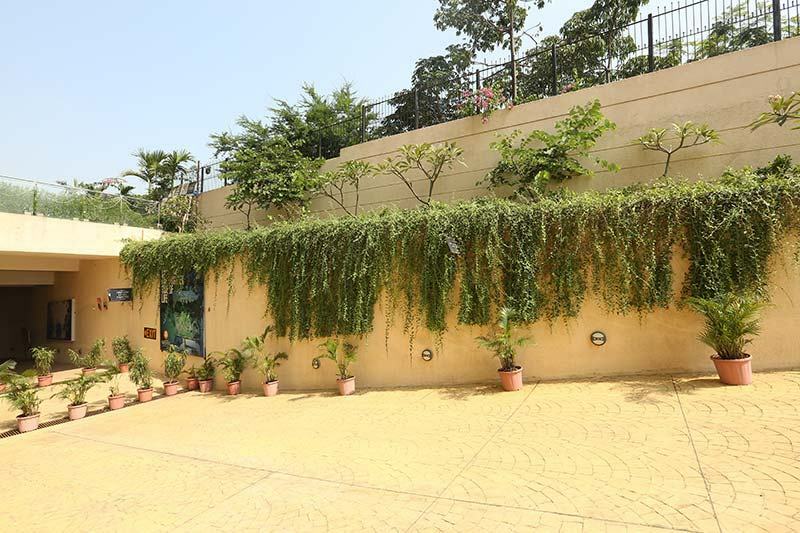 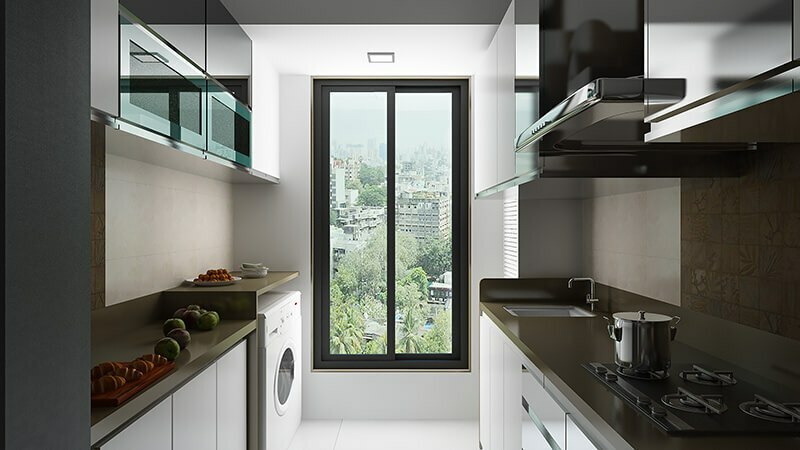 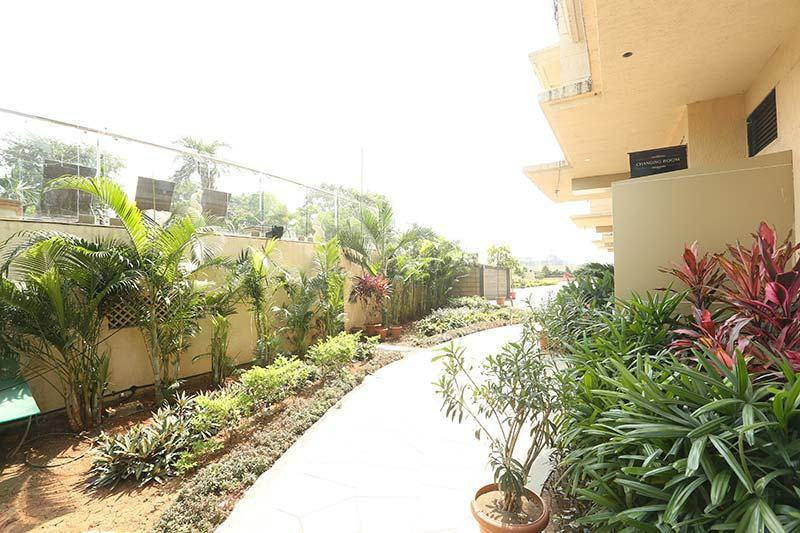 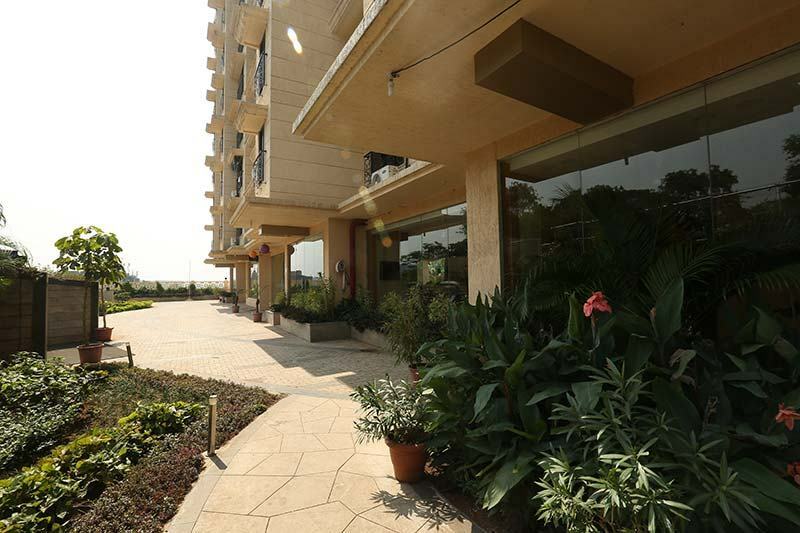 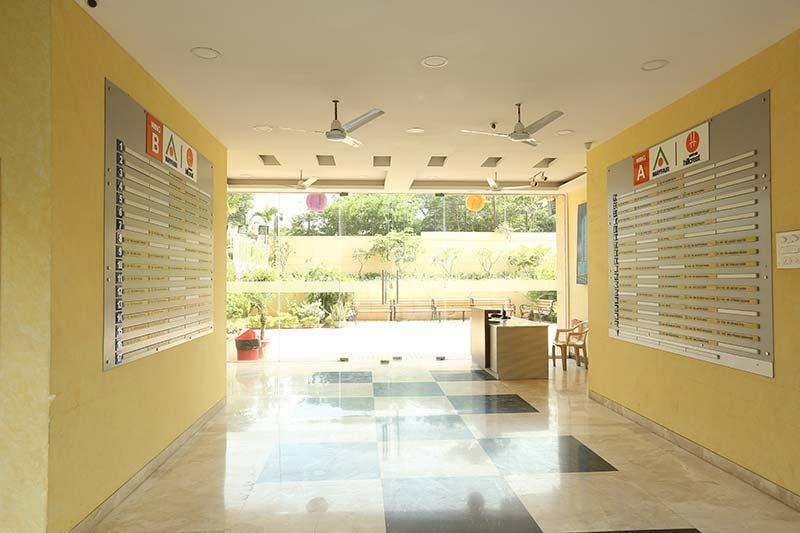 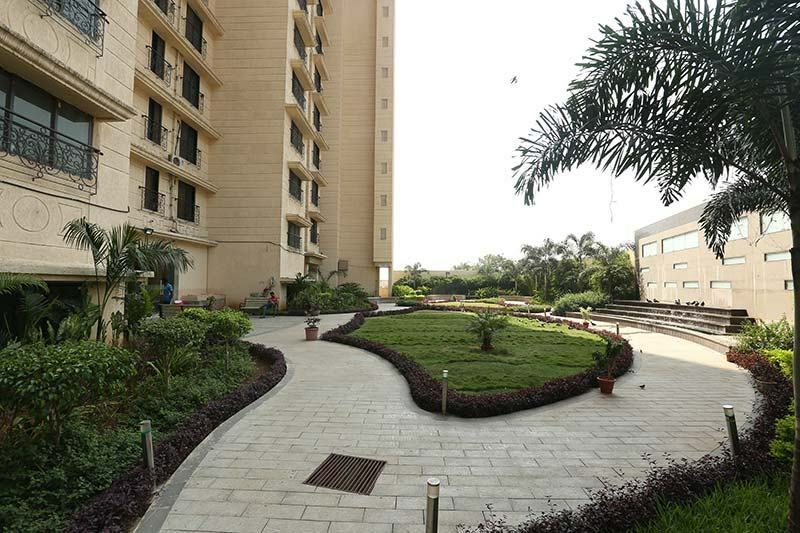 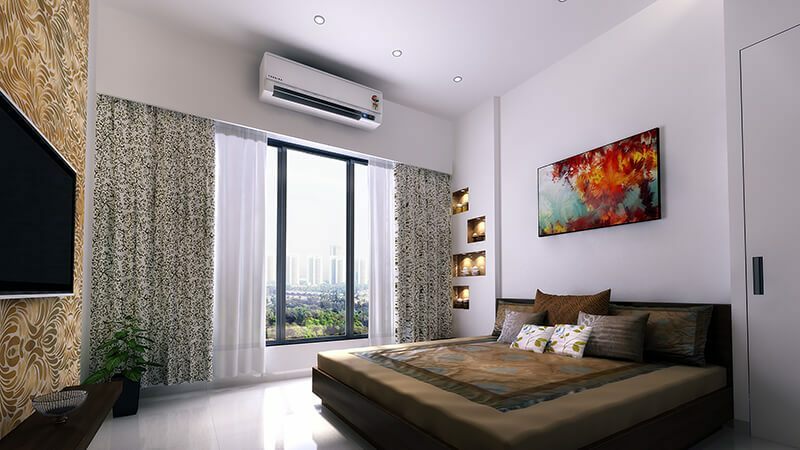 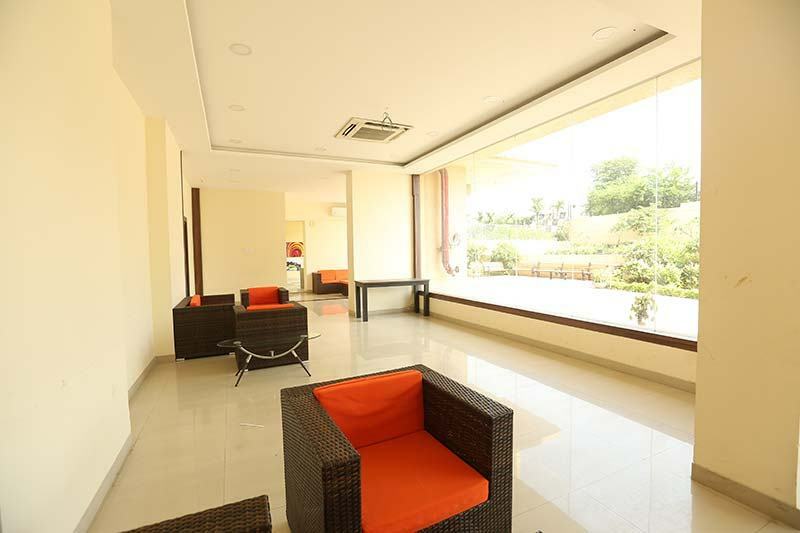 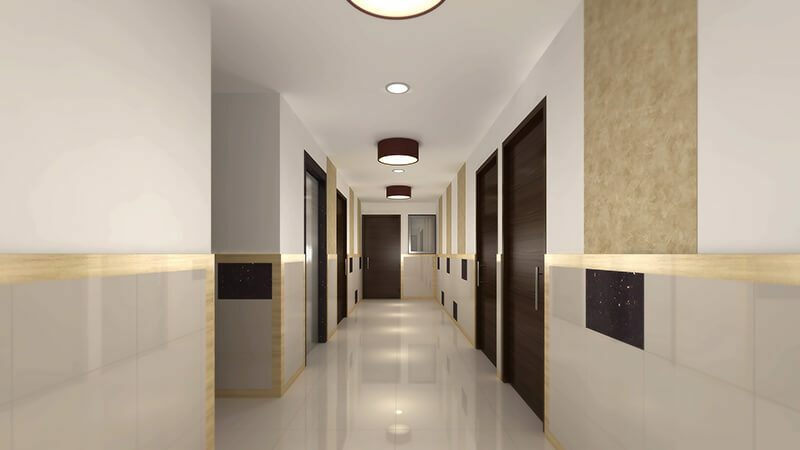 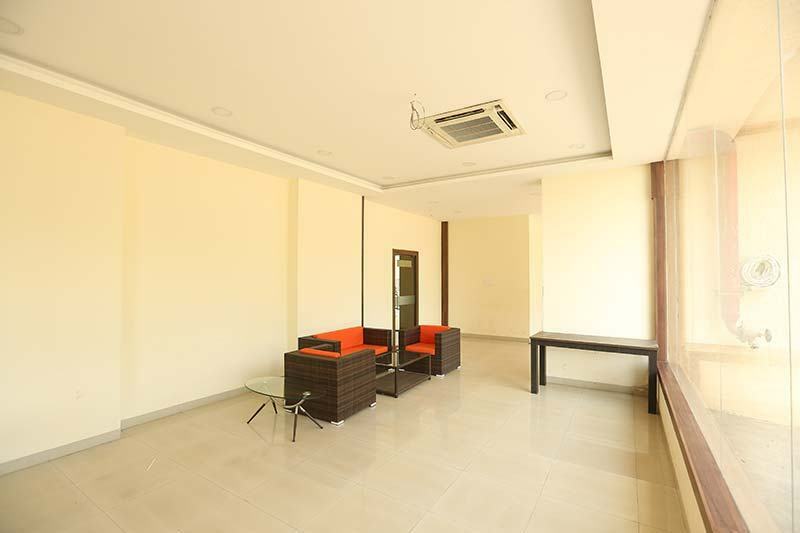 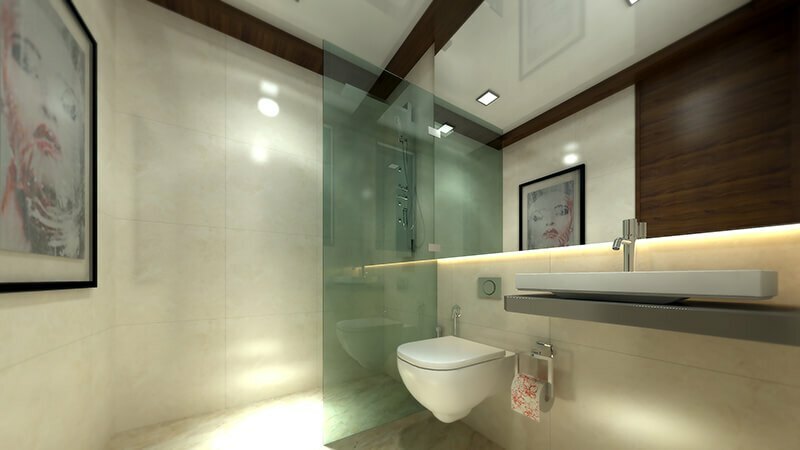 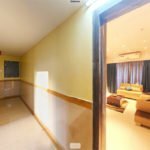 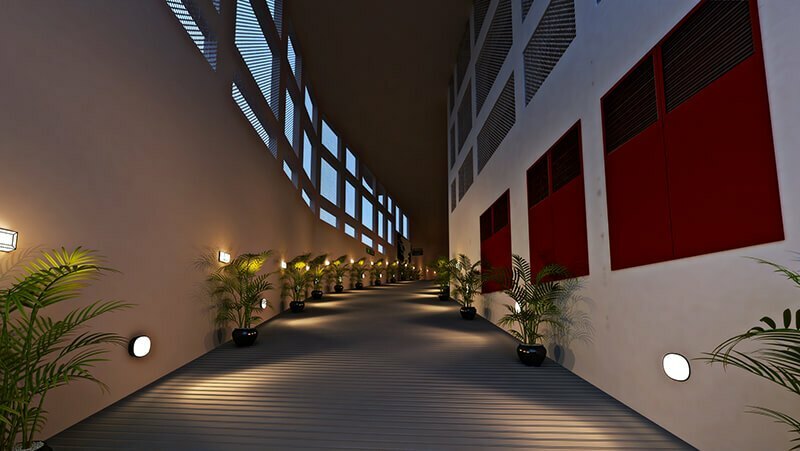 With superb ventilation, uncluttered wide space Hillcrest is definitely one of the best new projects in Vikhroli that's ideal for home buyers looking to buy reasonably low budget & cheap flats in Vikhroli. 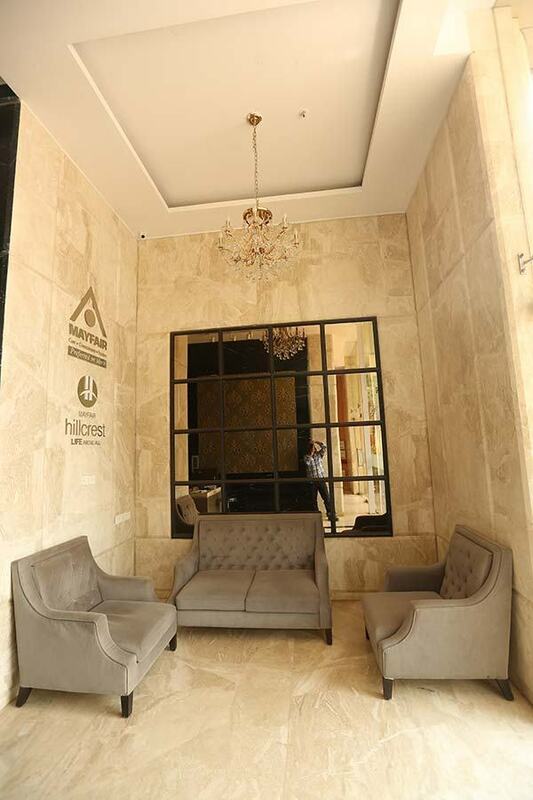 Bookings are open at Hillcrest for ready possession flats. So hurry up and book a 1 BHK & 2 BHK flats in Vikhroli at Hillcrest & live in one of the cosiest and most coveted locations in the Mumbai. 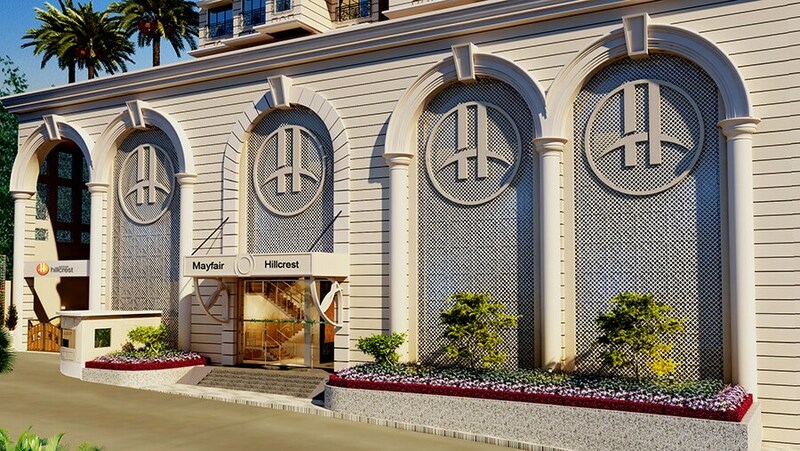 Ready to move flats in Vikhroli near Hiranandani Powai - 1 BHK, 2 BHK Flats in Mayfair Hillcrest. 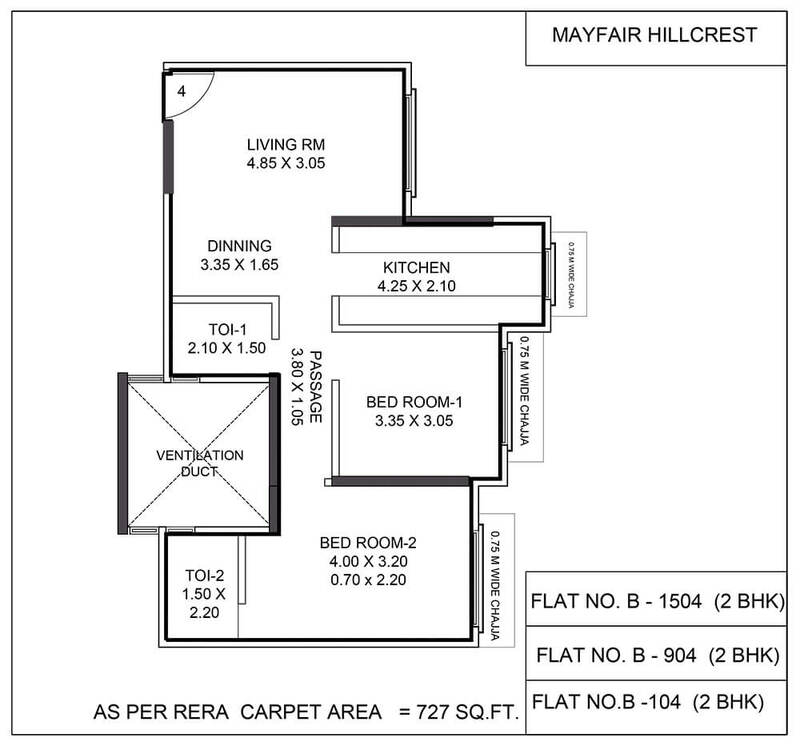 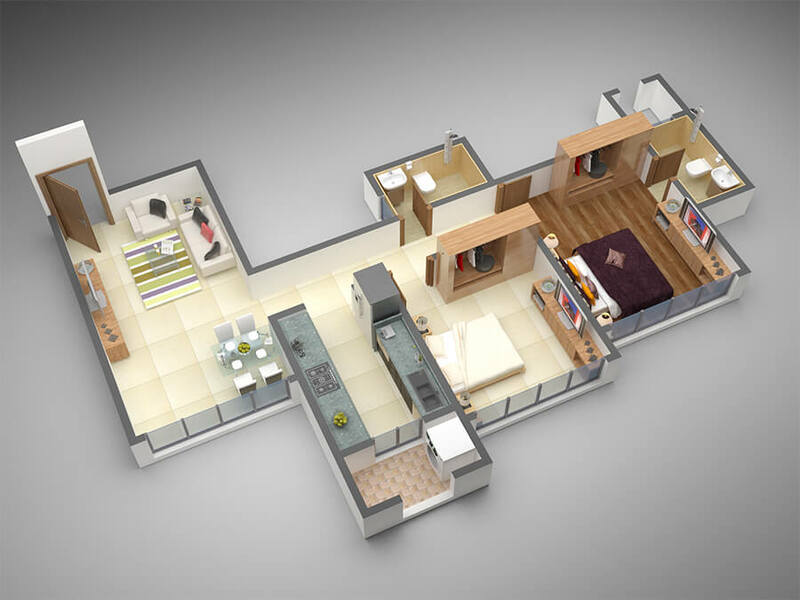 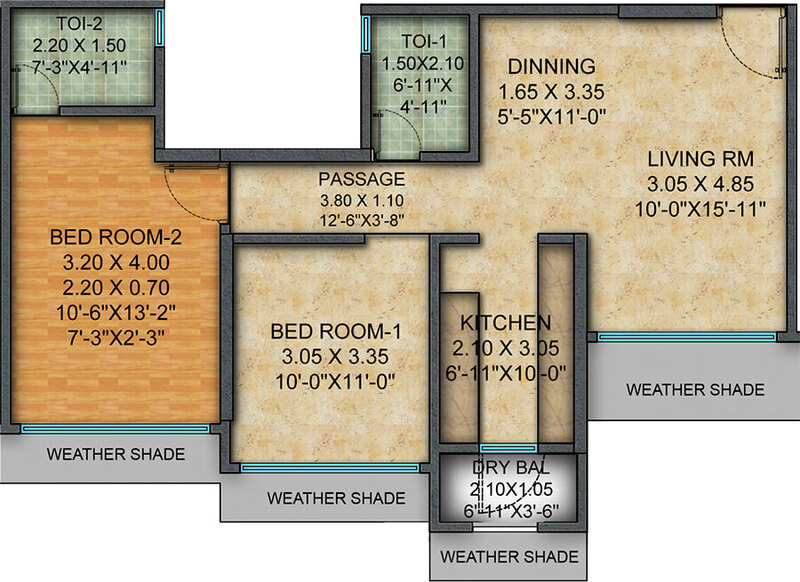 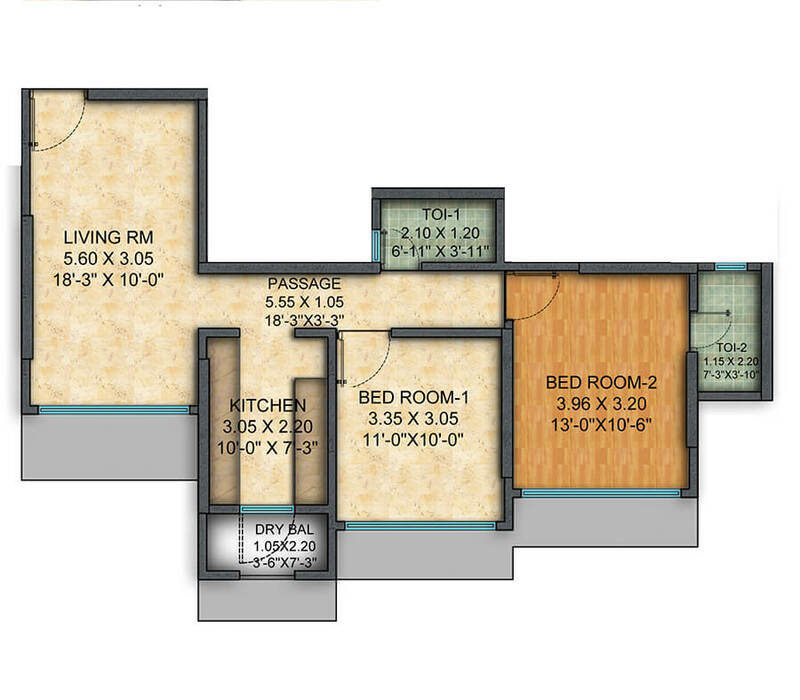 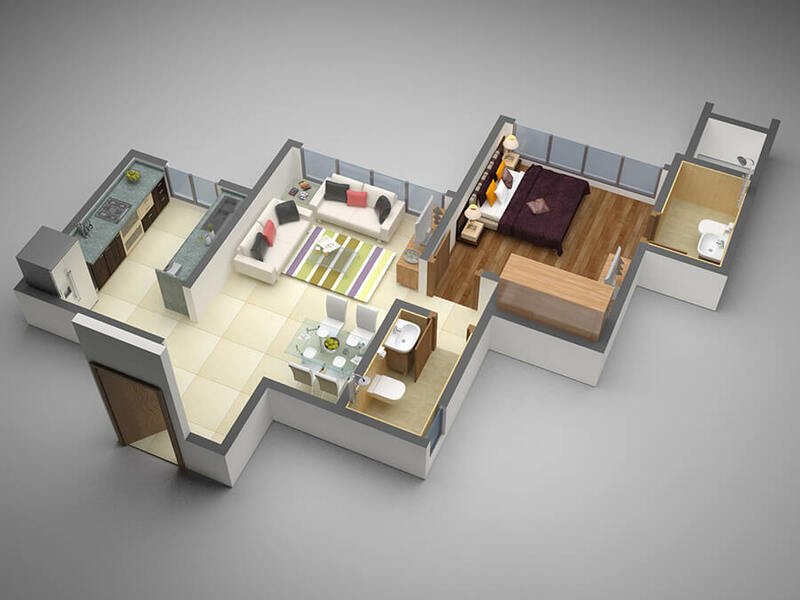 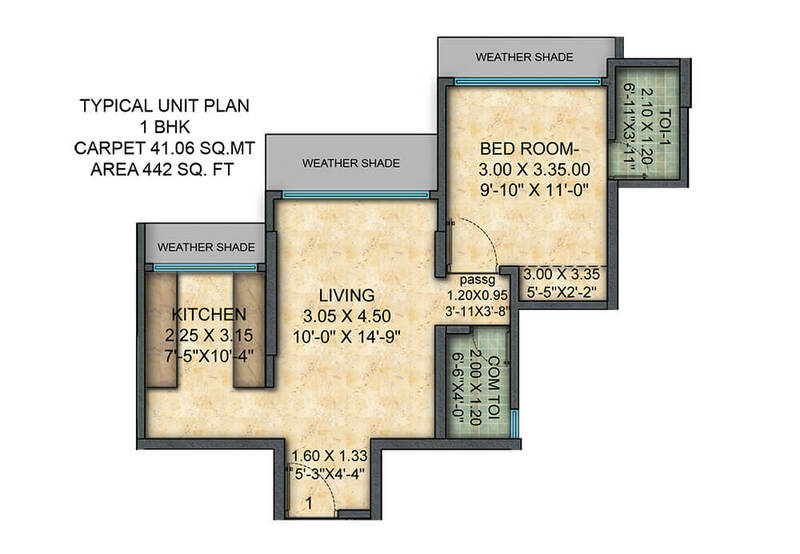 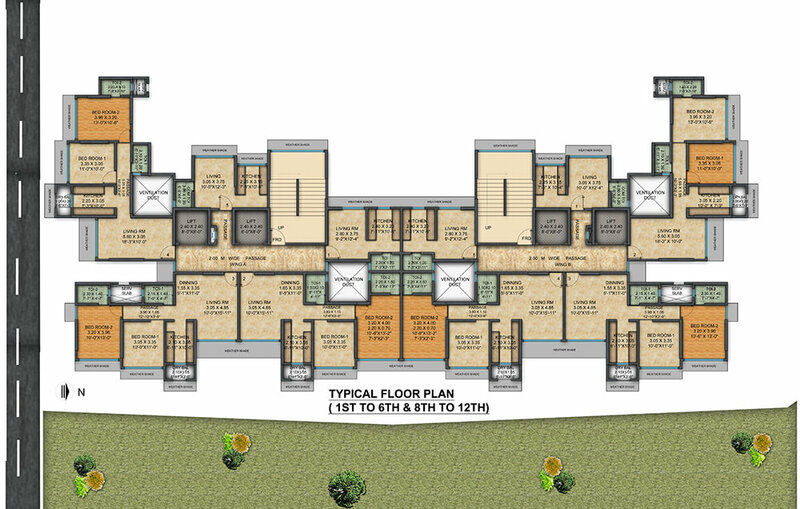 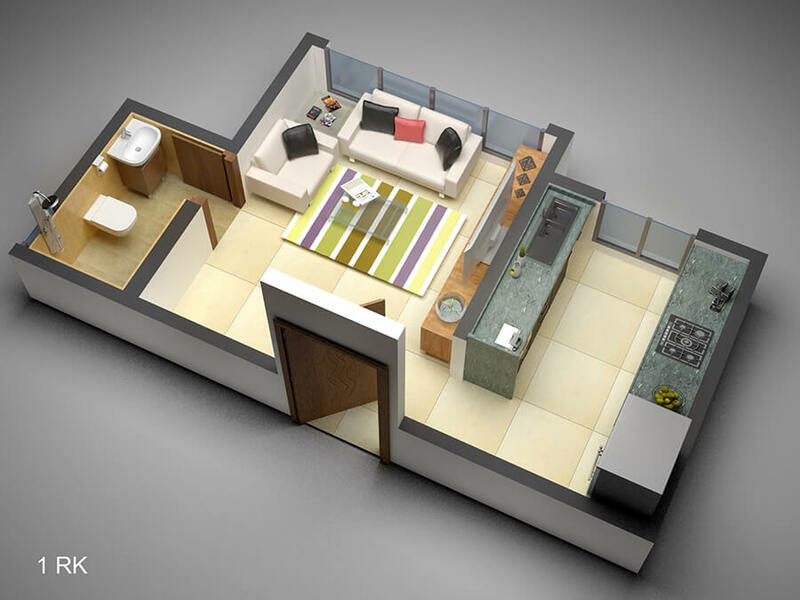 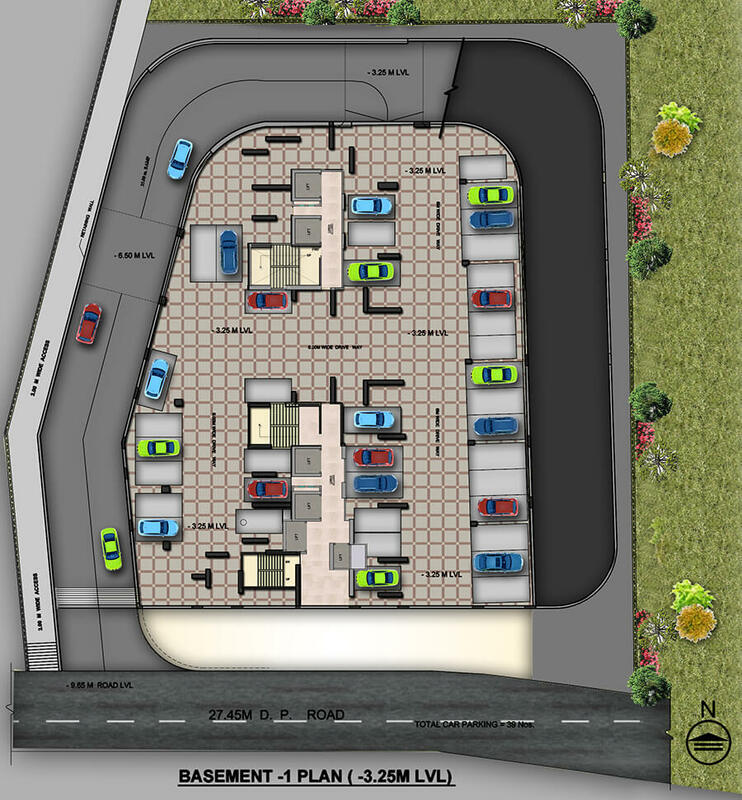 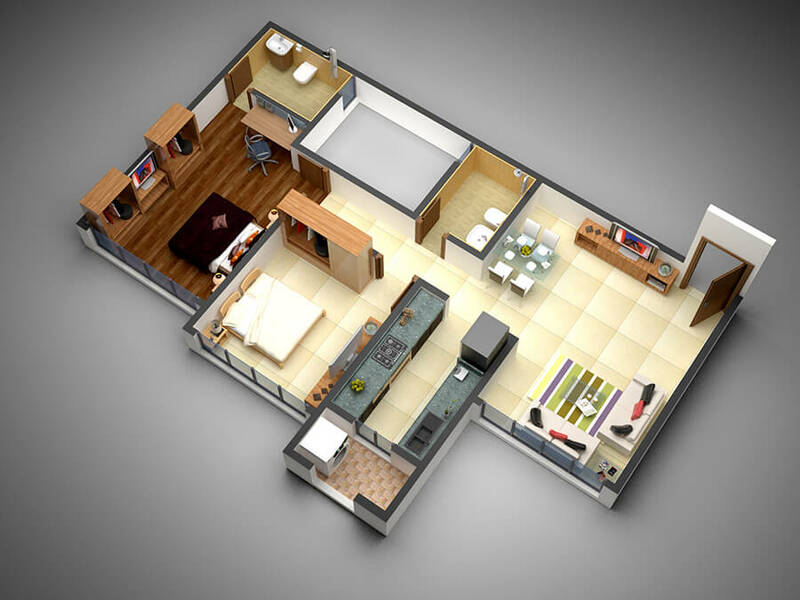 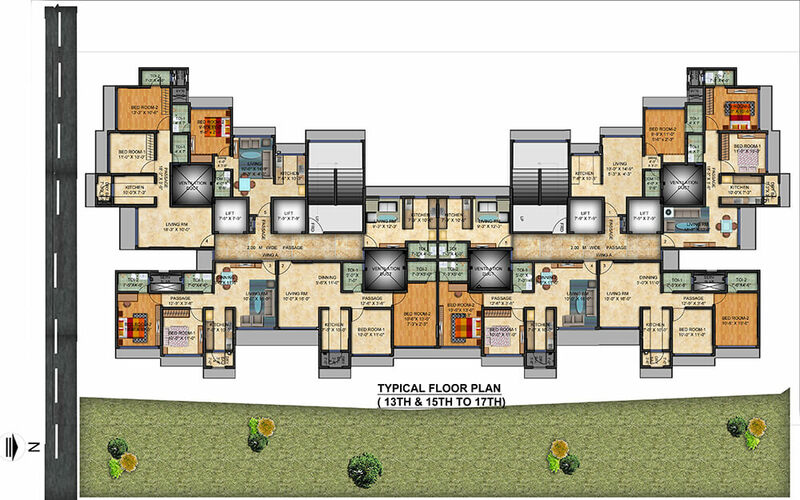 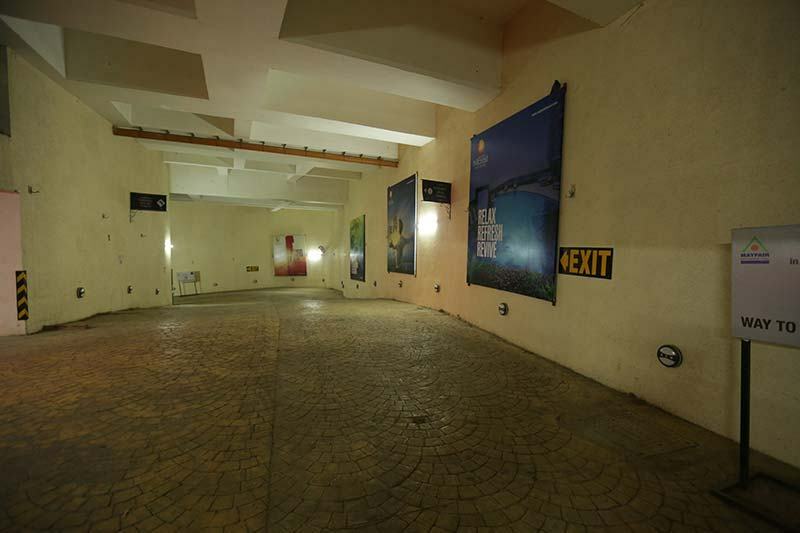 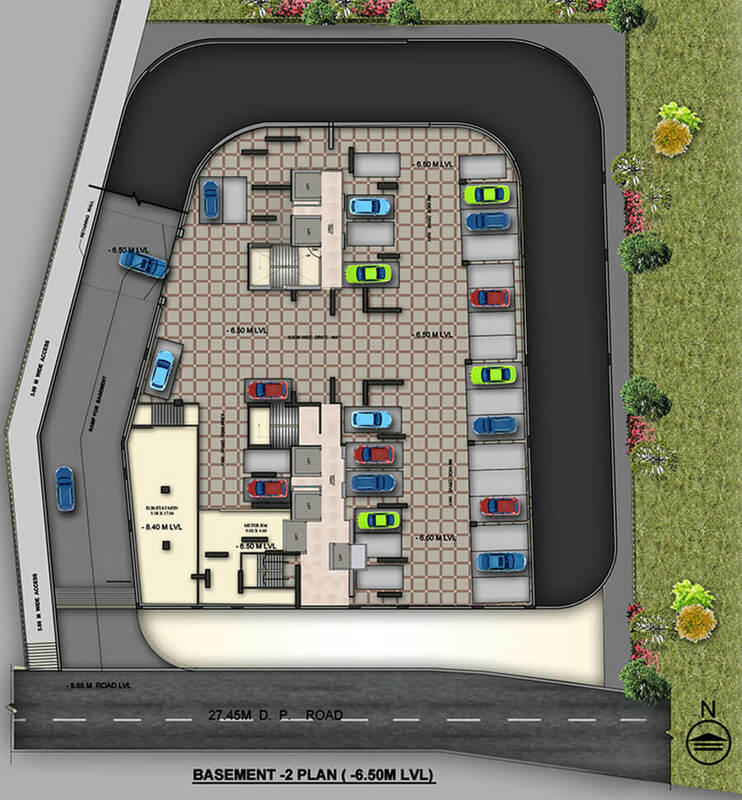 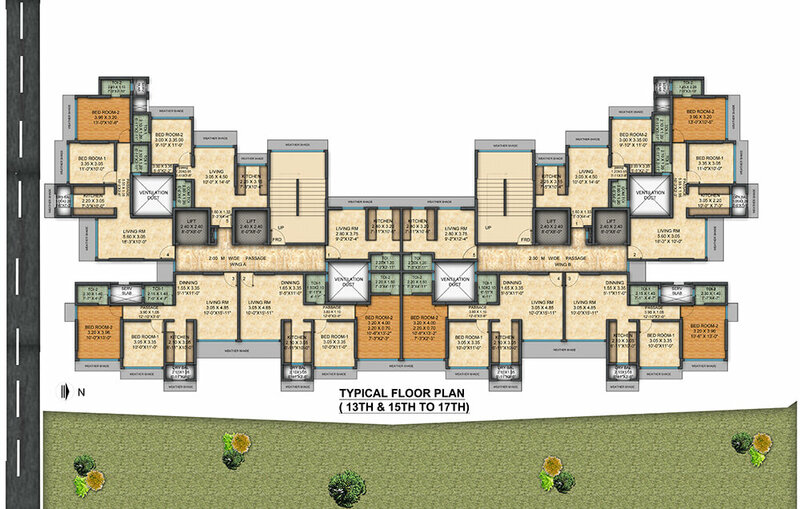 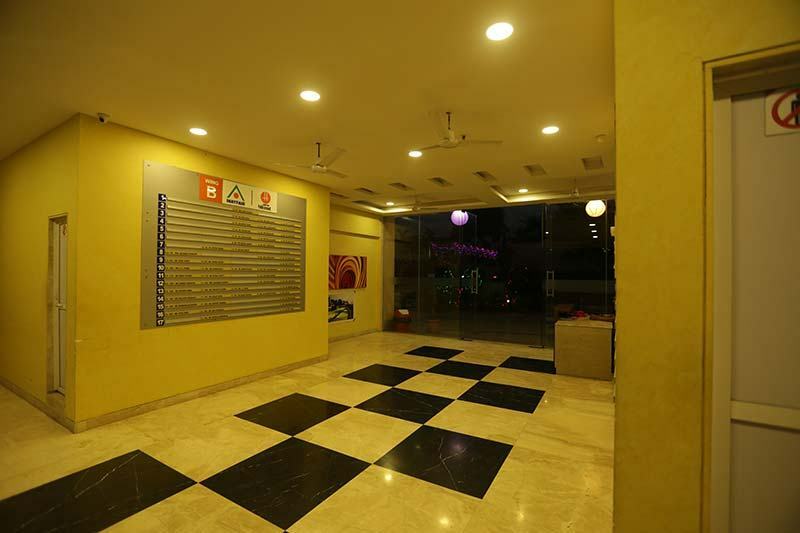 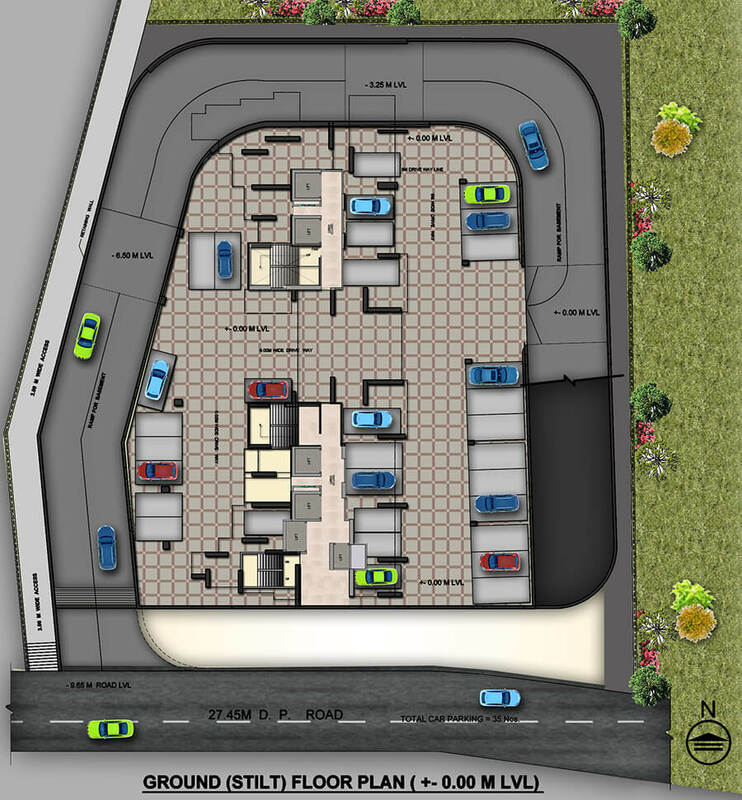 1 BHK Carpet Area (442 sq ft). 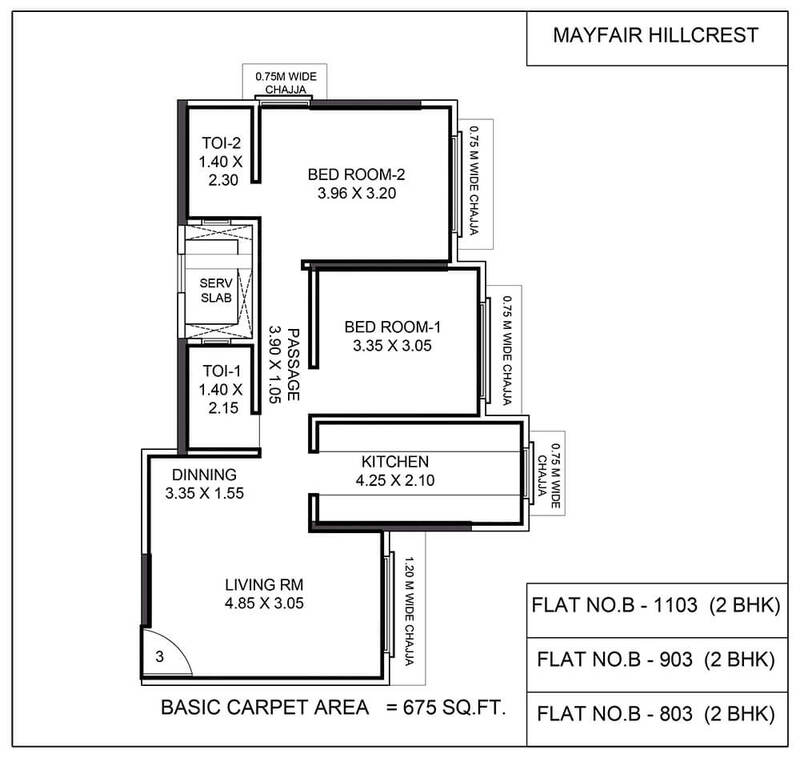 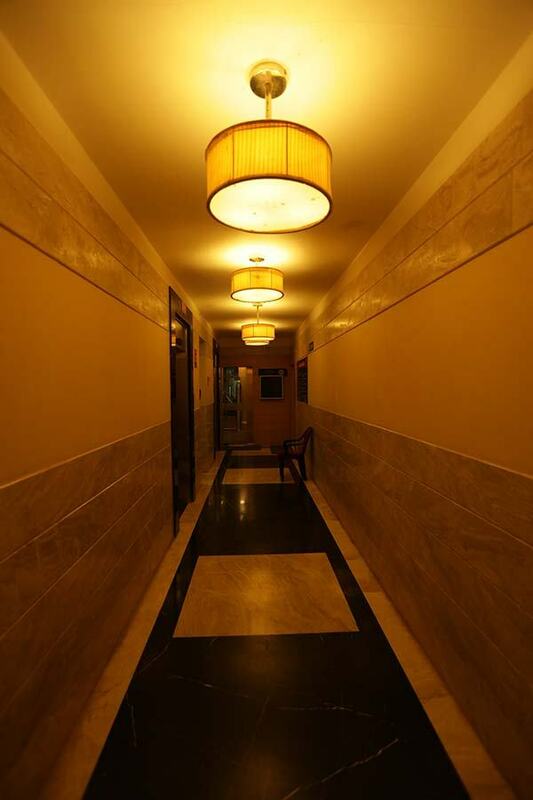 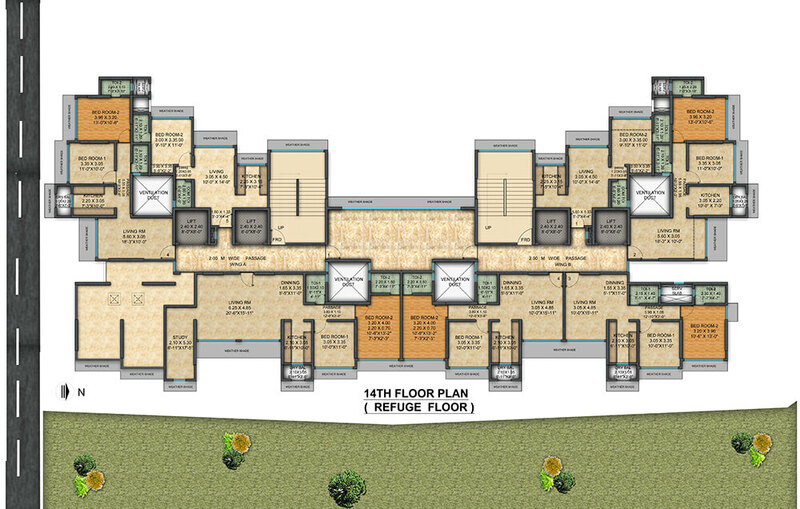 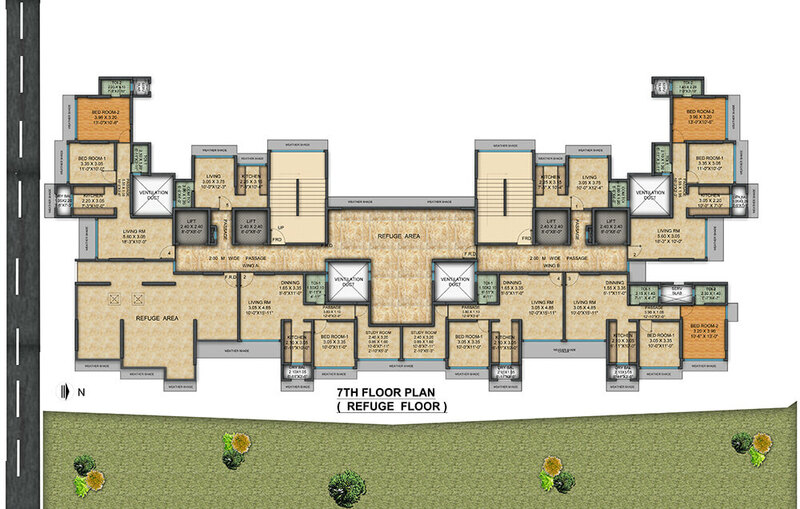 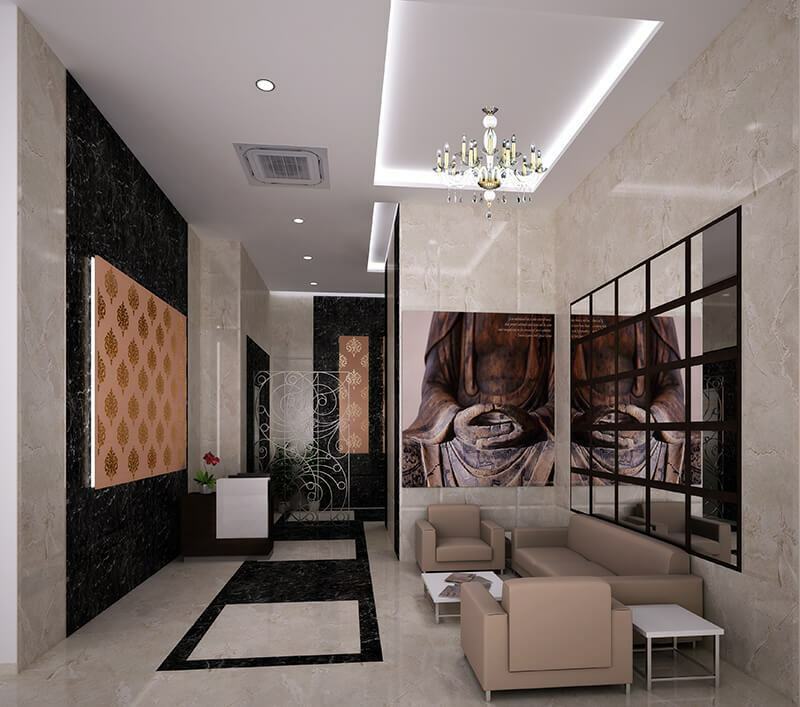 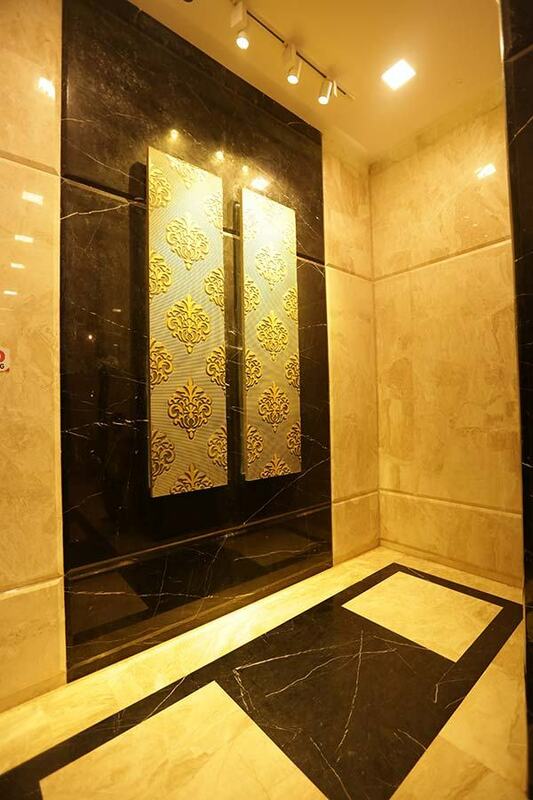 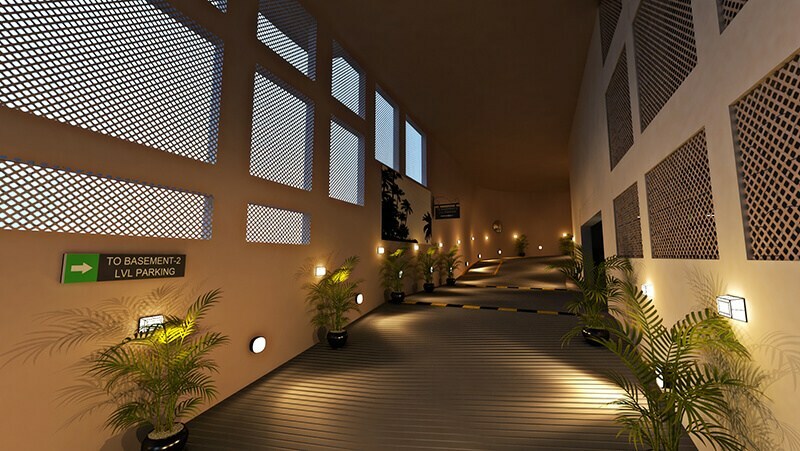 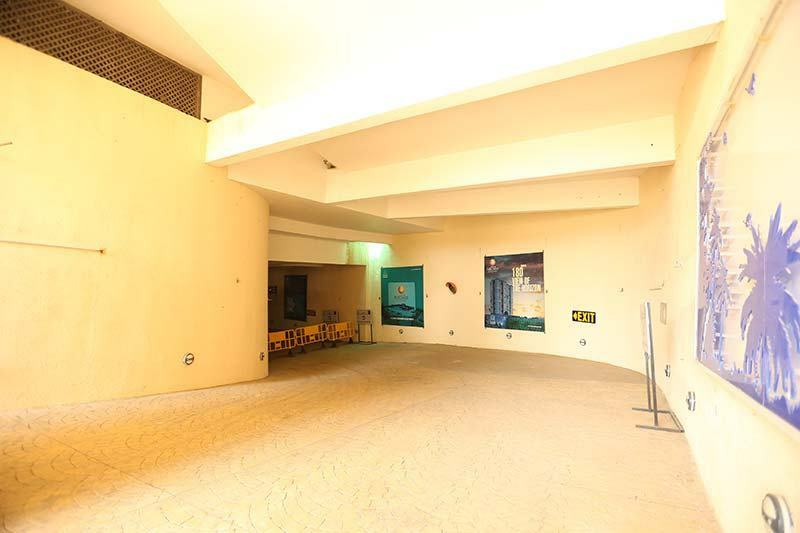 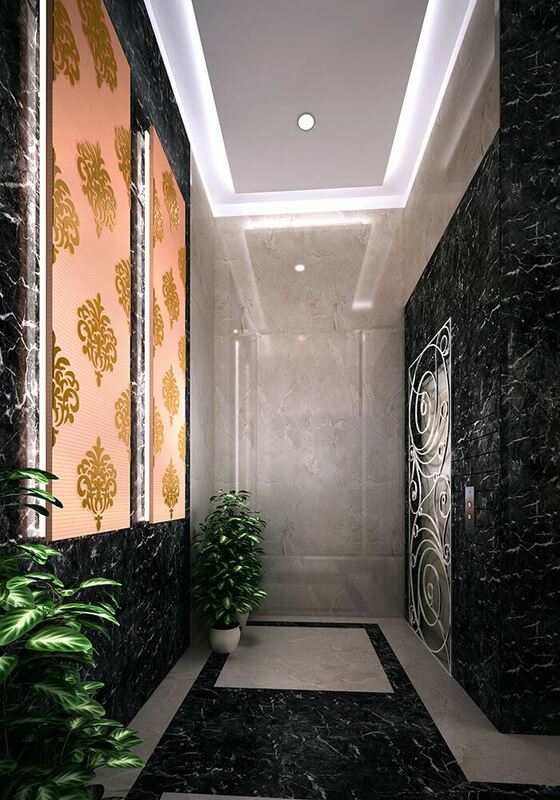 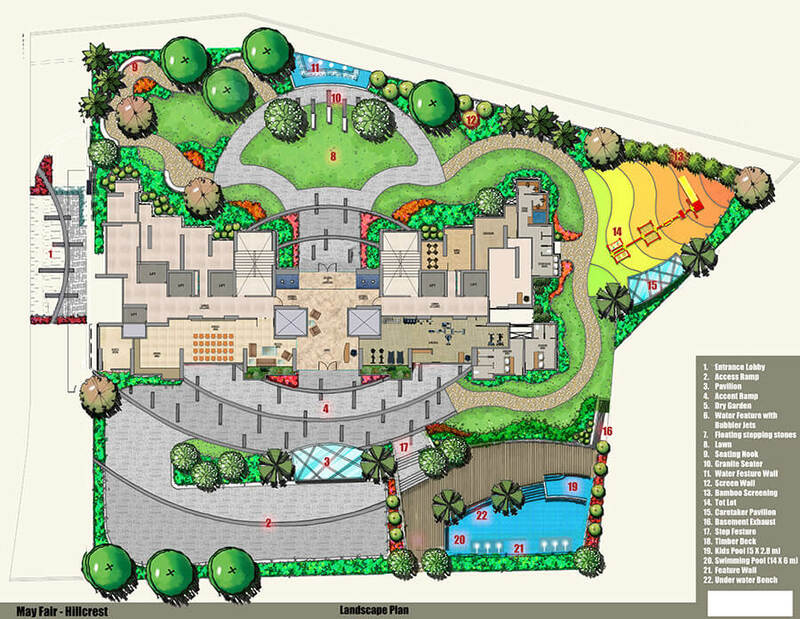 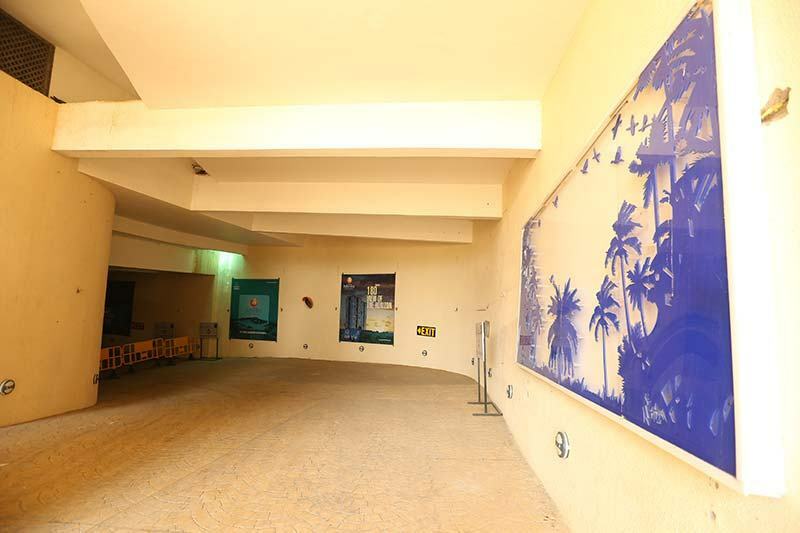 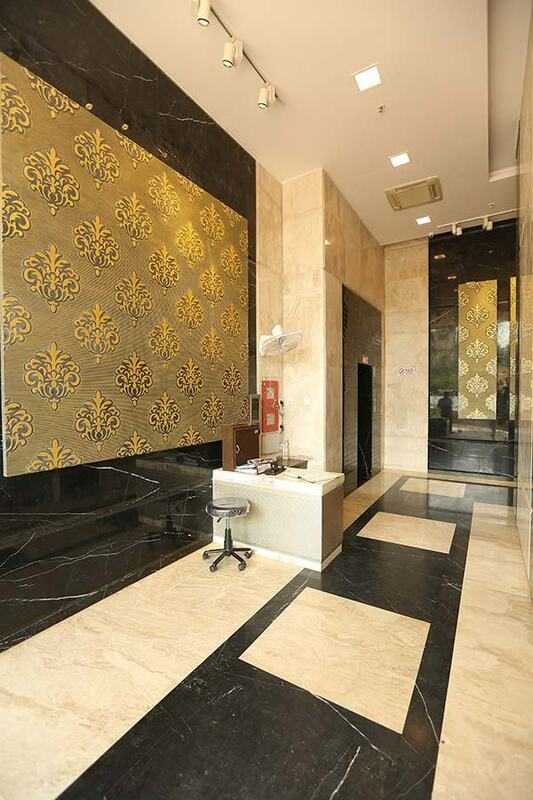 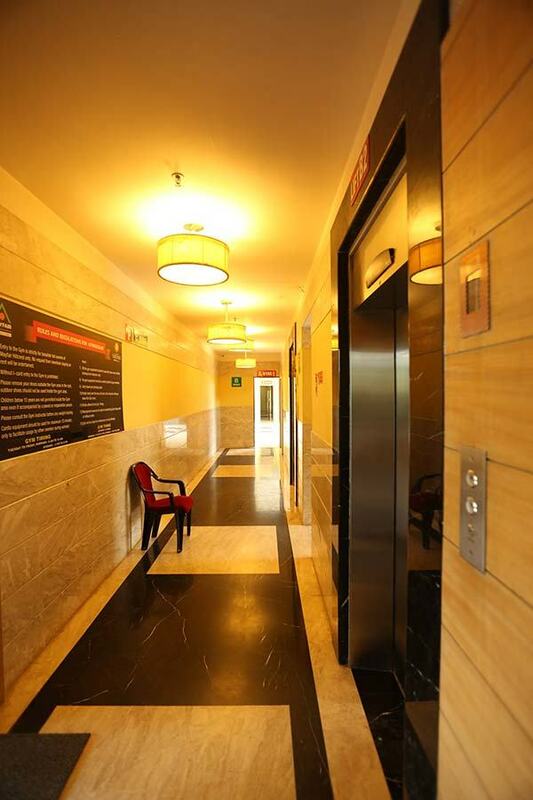 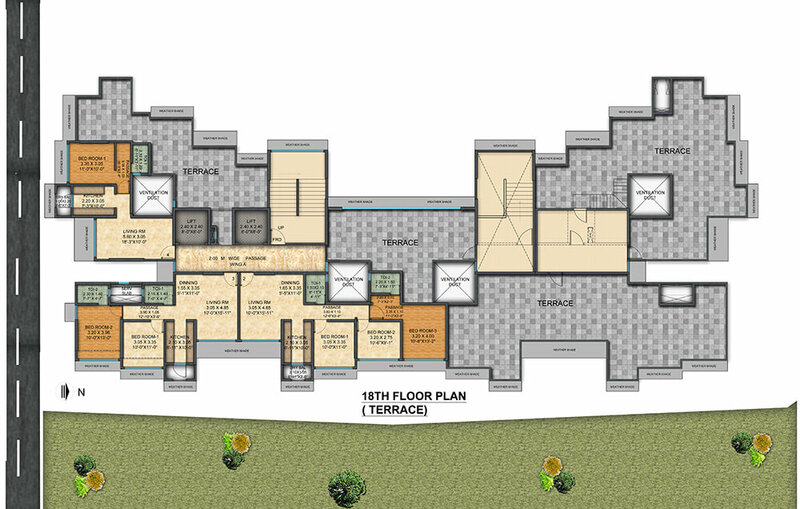 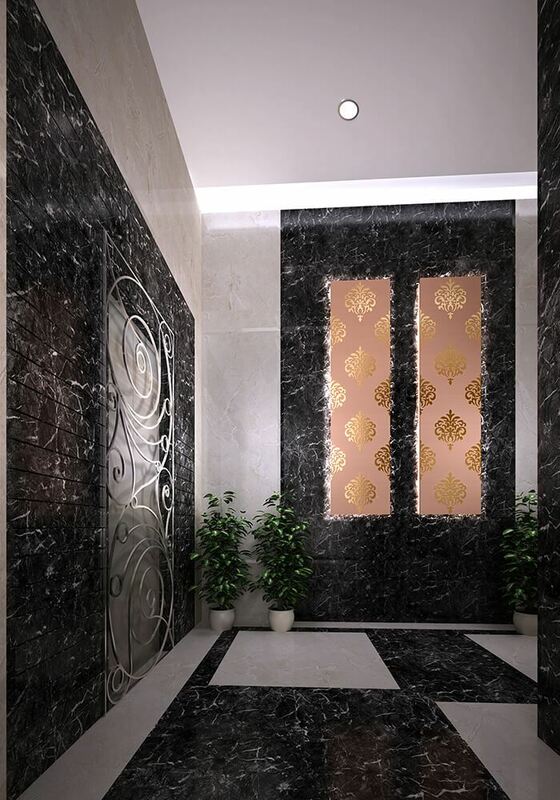 2 BHK Carpet Area (655, 675, 700 sq ft). 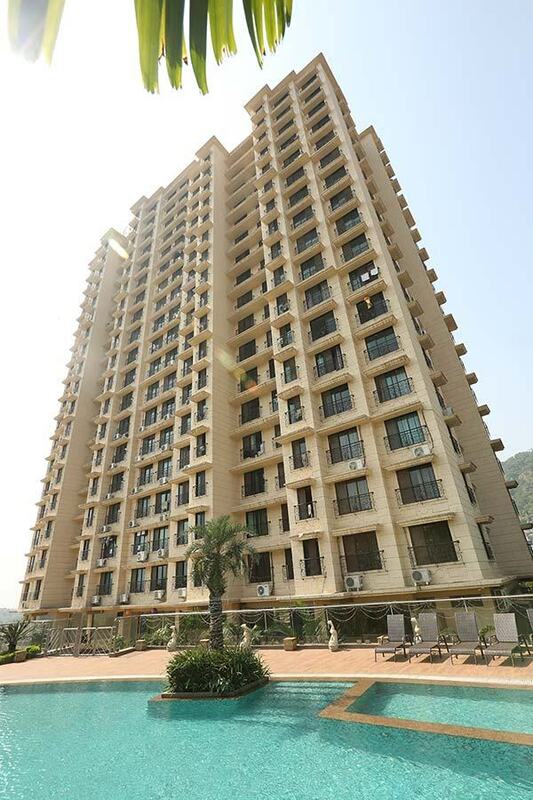 Located on a hilltop, the 1st habitable floor starts at 5th floor. 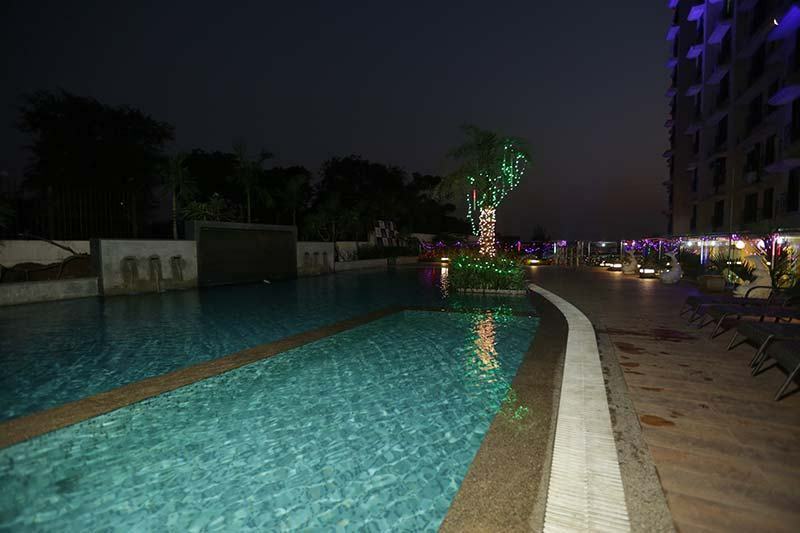 Breath taking un-interrupted view of the Vashi Creek. 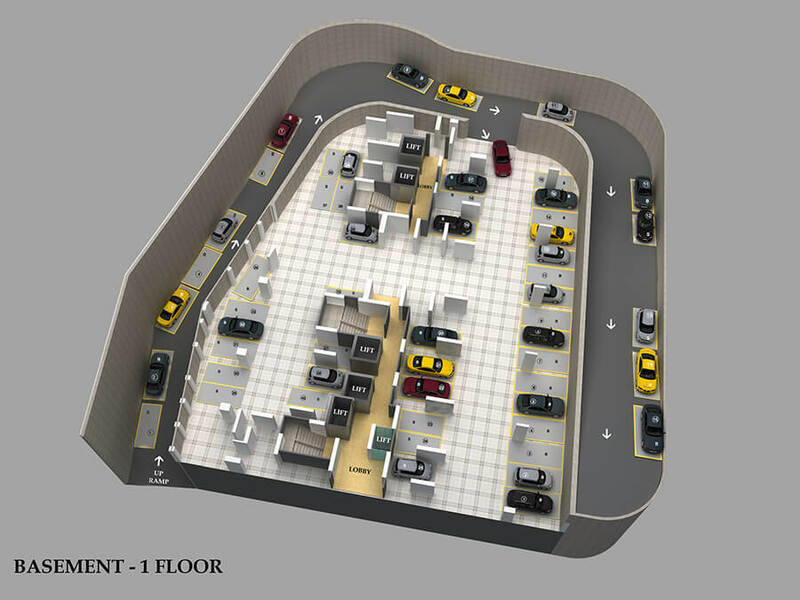 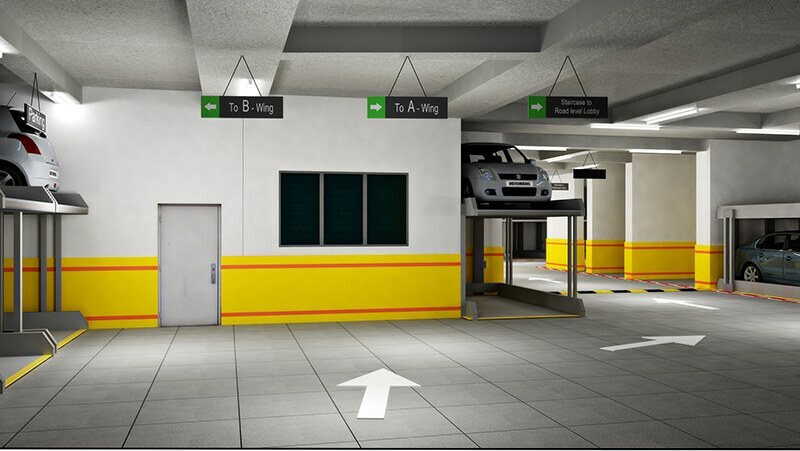 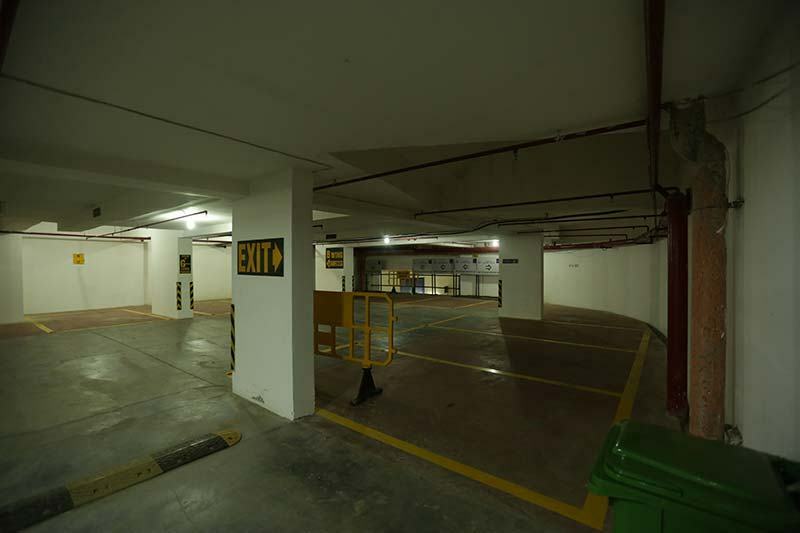 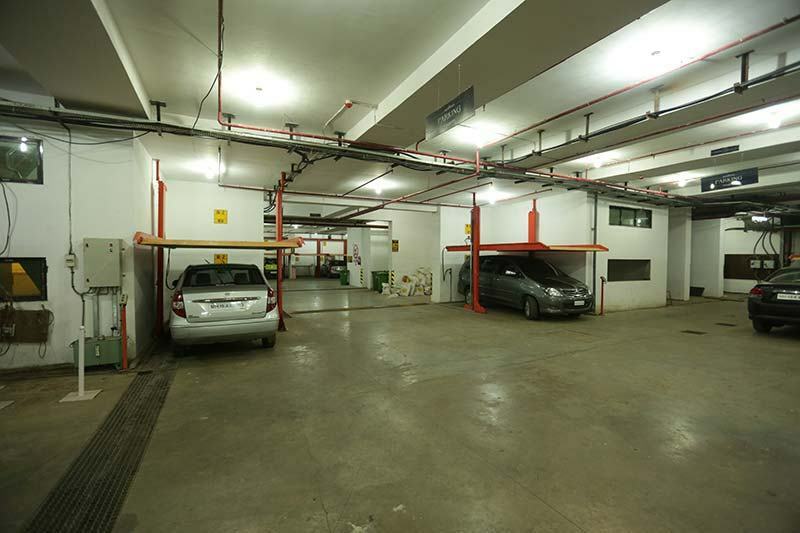 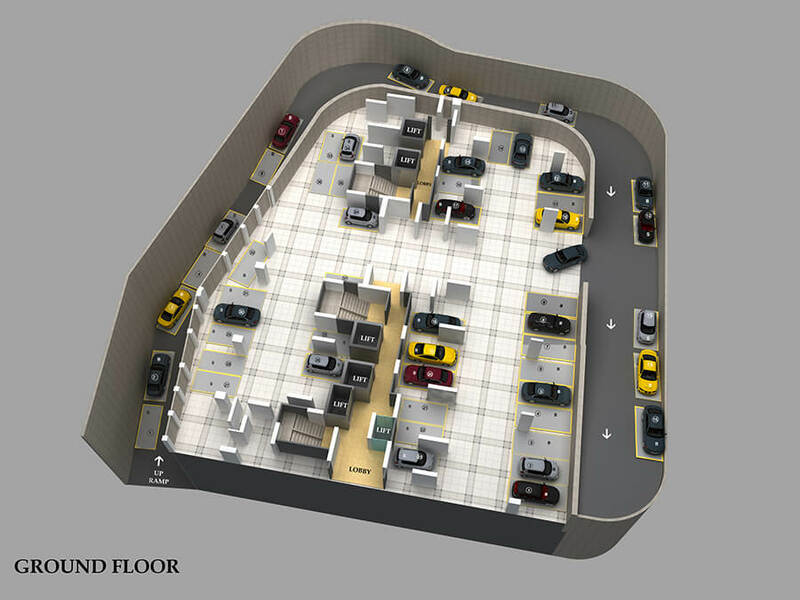 3 Levels of Parking + Podium Amenities Floor + 18 Upper Floors. 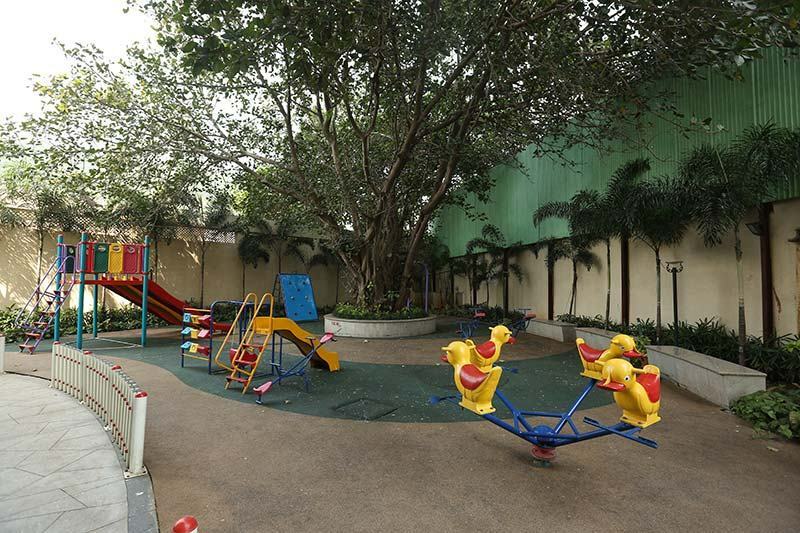 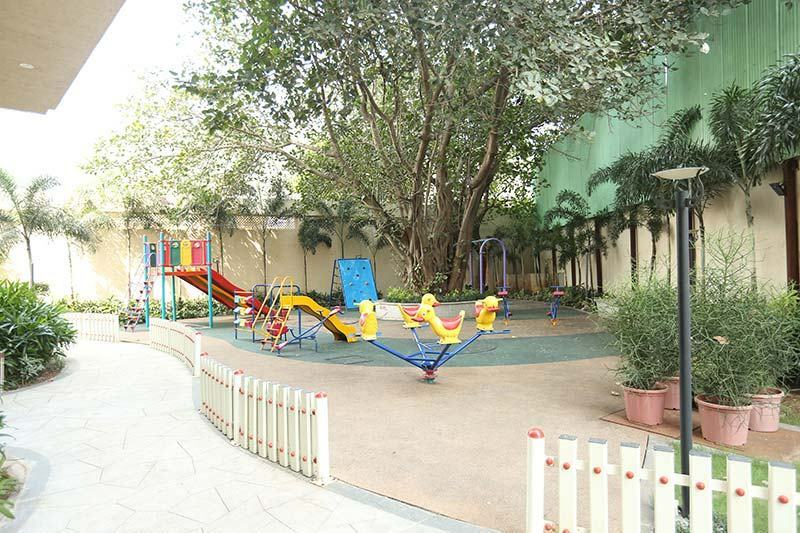 Children's Play Area & Club House. 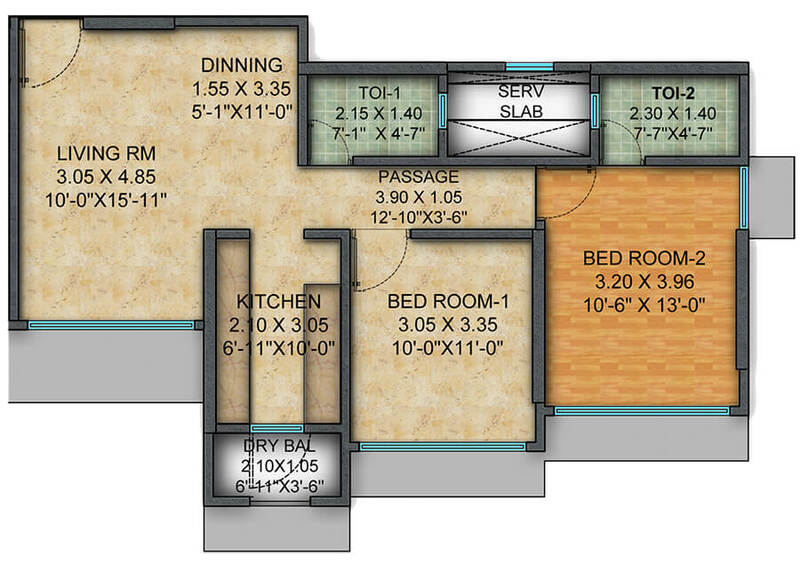 Located on a hilltop, the 1st habitable floor starts at 5th floor which is 178 ft from LBS). 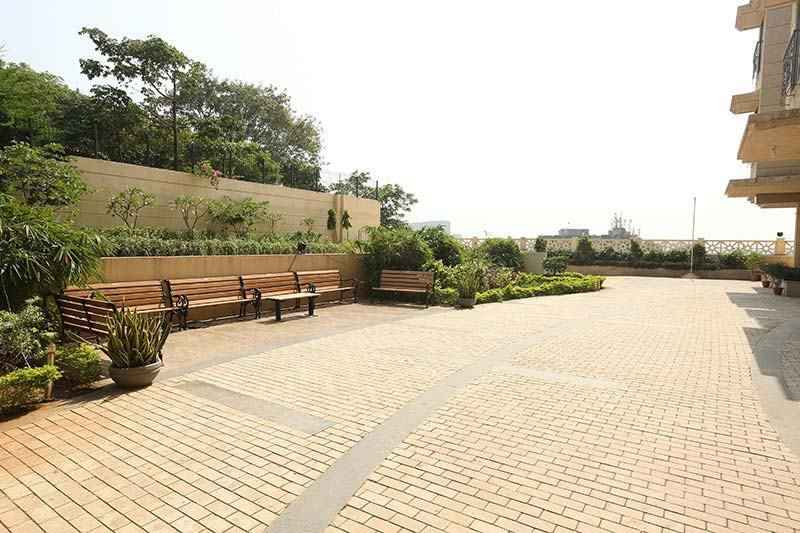 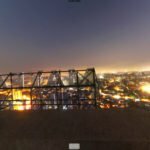 Breath taking un-interrupted – clear view of the Vashi Creek. 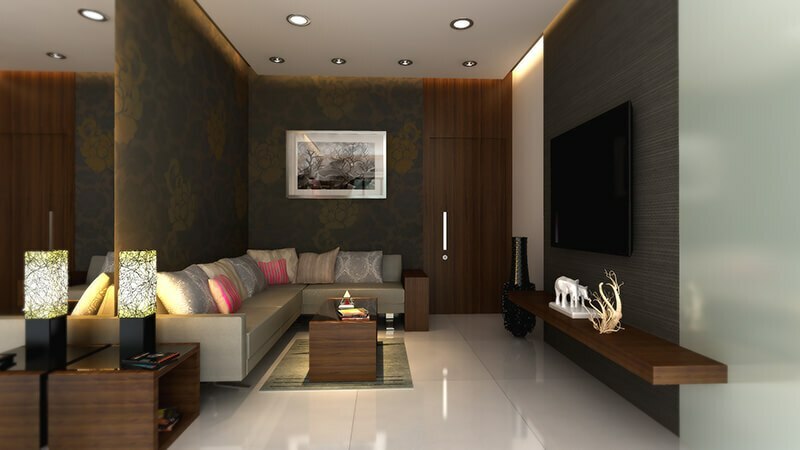 All Designed by Mark Mahan of Singapore. 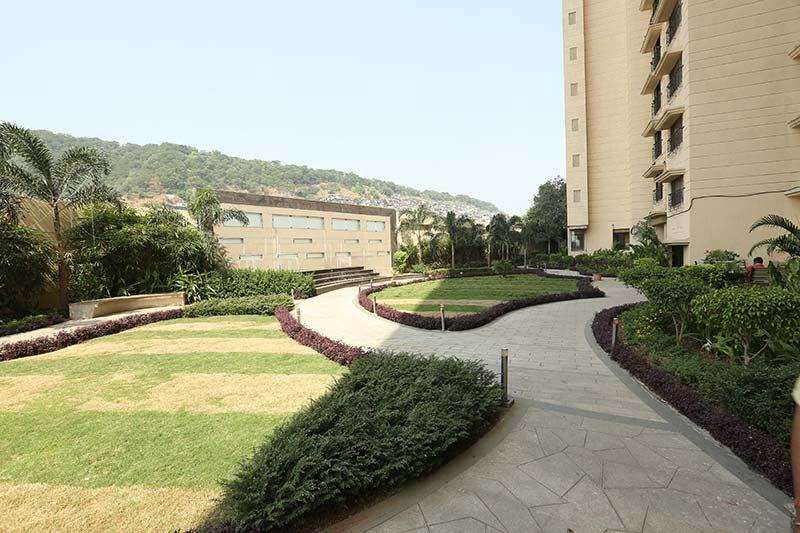 Amidst Housing Complexes of Godrej and Hiranandani. 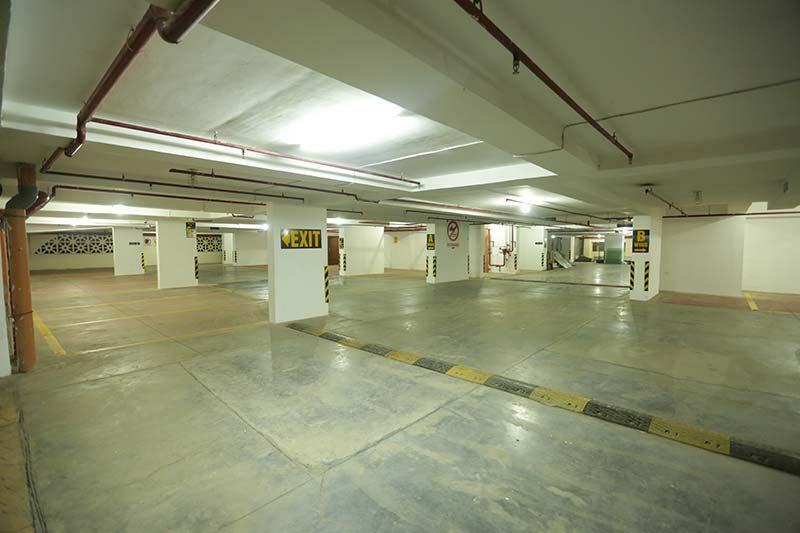 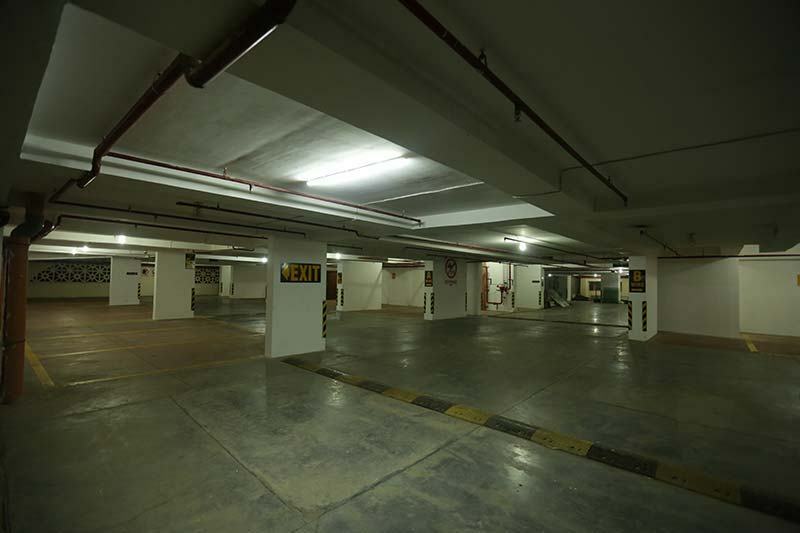 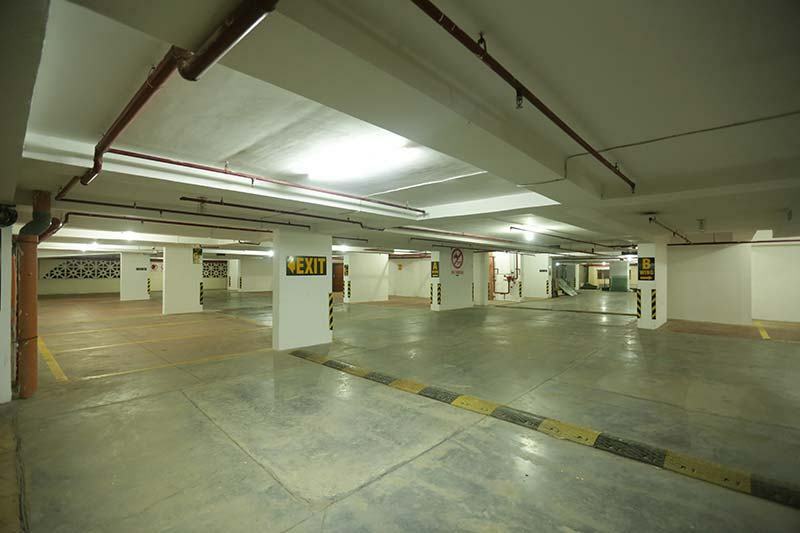 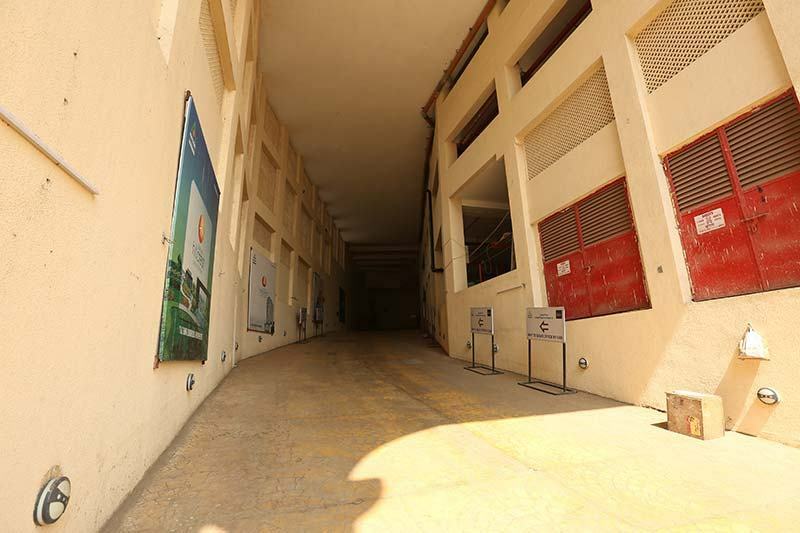 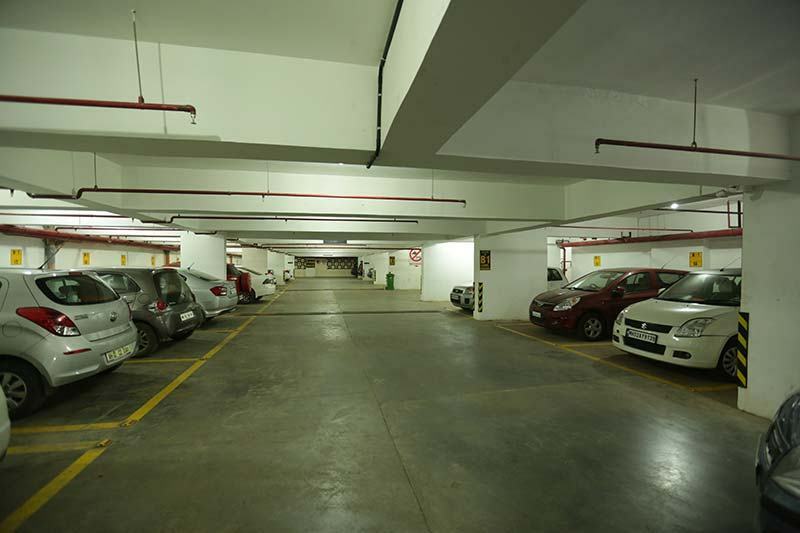 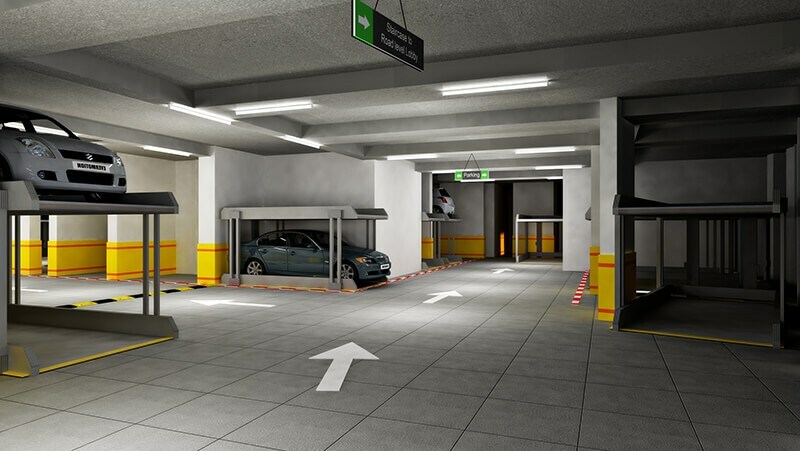 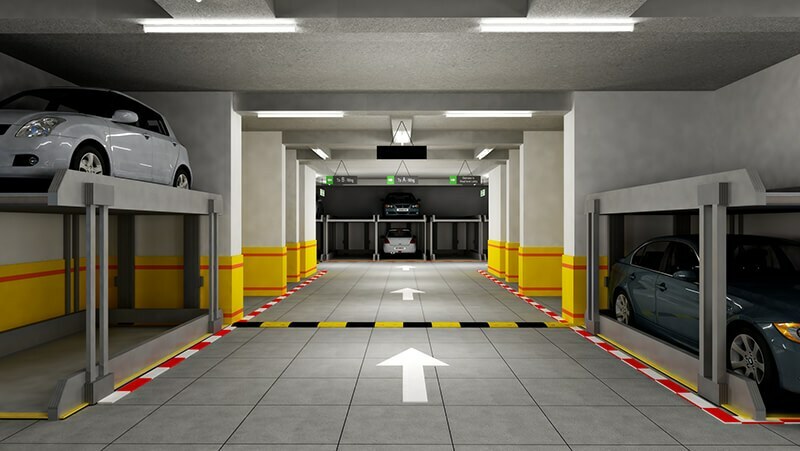 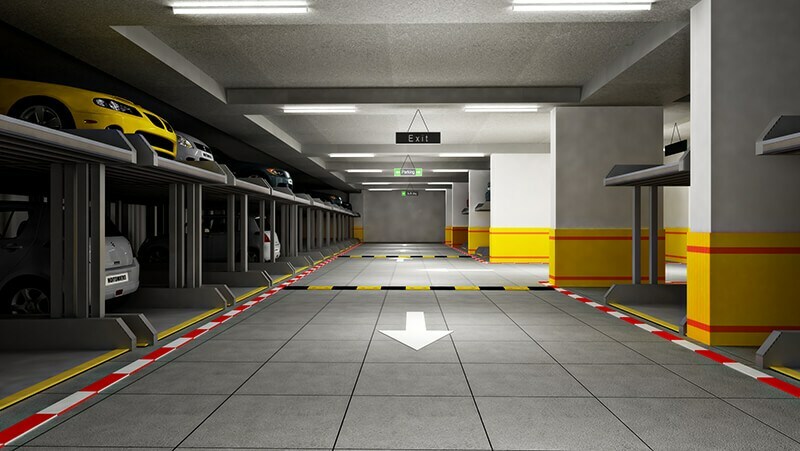 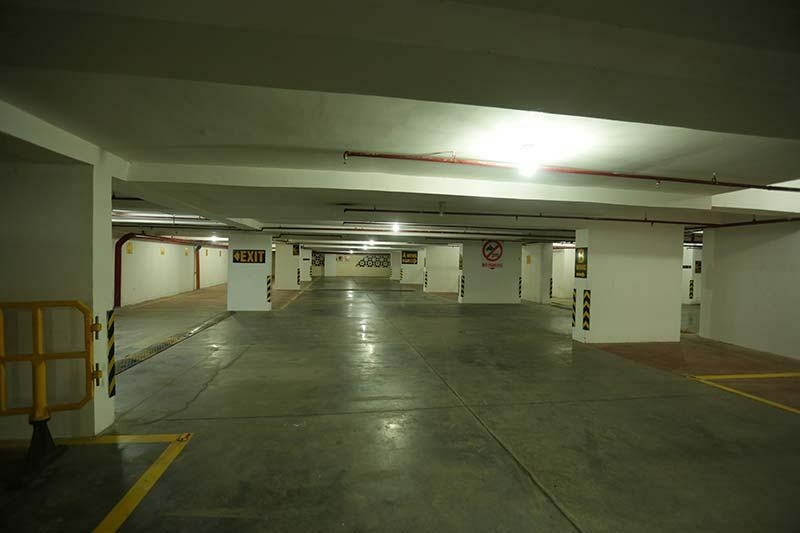 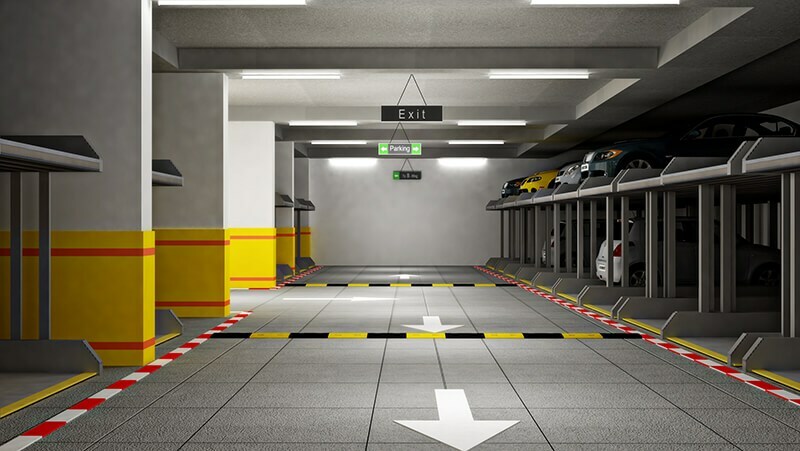 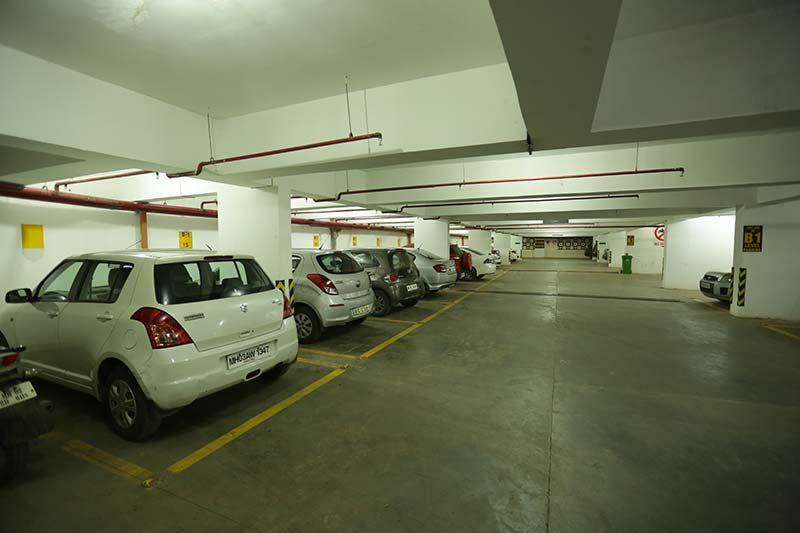 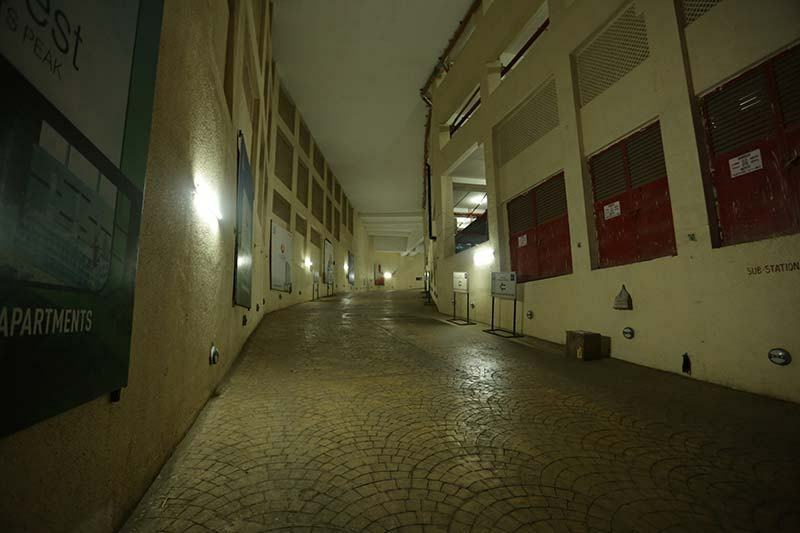 3 levels of covered parking connected by a wide ramp.